Ali, N. and S. A. Grossman (2017). Presyncope. StatPearls. Treasure Island (FL). Ali, N. J. and S. A. Grossman (2017). "Geriatric Syncope and Cardiovascular Risk in the Emergency Department." J Emerg Med 52(4): 438-448 e433. Ali, N. J., J. M. McWilliams, S. K. Epstein and P. B. Smulowitz (2017). "Emergency Department Involvement in Accountable Care Organizations in Massachusetts: A Survey Study." Ann Emerg Med. Alpert, E. A., U. Amit, L. Guranda, R. Mahagna, S. A. Grossman and A. Bentancur (2017). "Emergency department point-of-care ultrasonography improves time to pericardiocentesis for clinically significant effusions." Clin Exp Emerg Med 4(3): 128-132. Al-Shareef, A. S., L. K. Alsulimani, H. M. Bojan, T. M. Masri, J. O. Grimes, M. S. Molloy and G. R. Ciottone (2017). "Evaluation of Hospitals' Disaster Preparedness Plans in the Holy City of Makkah (Mecca): A Cross-Sectional Observation Study." Prehosp Disaster Med 32(1): 33-45. Andersen, L. W., R. A. Berg and M. W. Donnino (2017). "Time Interval Data in a Pediatric In-Hospital Resuscitation Study-Reply." JAMA 317(9): 973-974. Andersen, L. W. and M. W. Donnino (2017). "Intubation During In-Hospital Cardiac Arrest-Reply." JAMA 317(19): 2019-2020. Andersen, L. W., A. Granfeldt, C. W. Callaway, S. M. Bradley, J. Soar, J. P. Nolan, T. Kurth, M. W. Donnino and I. American Heart Association's Get With The Guidelines-Resuscitation (2017). "Association Between Tracheal Intubation During Adult In-Hospital Cardiac Arrest and Survival." JAMA 317(5): 494-506. Andersen, L. W., X. Liu, S. Montissol, M. J. Holmberg, B. K. Fabian-Jessing, M. W. Donnino and G. Center for Resuscitation Science Research (2017). "Cytochrome c in patients undergoing coronary artery bypass grafting: A post hoc analysis of a randomized trial." J Crit Care 42: 248-254. Andersen, L. W., M. Vognsen, A. Topjian, L. Brown, R. A. Berg, V. M. Nadkarni, H. Kirkegaard, M. W. Donnino and I. American Heart Association's Get With The Guidelines-Resuscitation (2017). "Pediatric In-Hospital Acute Respiratory Compromise: A Report From the American Heart Association's Get With the Guidelines-Resuscitation Registry." Pediatr Crit Care Med 18(9): 838-849. Andersen, M. S., E. Howard, S. Lu, M. Richard, M. Gregory, G. Ogembo, O. Mazor, P. Gorelik, N. I. Shapiro, A. V. Sharda and I. Ghiran (2017). "Detection of membrane-bound and soluble antigens by magnetic levitation." Lab Chip 17(20): 3462-3473. Berg, K. M., A. V. Grossestreuer, A. Uber, P. V. Patel and M. W. Donnino (2017). "Intubation is not a marker for coma after in-hospital cardiac arrest: A retrospective study." Resuscitation 119: 18-20. Bhardwaj, A., D. J. Ikeda, A. V. Grossestreuer, K. R. Sheak, G. Delfin, T. Layden, B. S. Abella and M. Leary (2017). "Factors associated with re-arrest following initial resuscitation from cardiac arrest." Resuscitation 111: 90-95. Bortolin, M., I. Morelli, A. Voskanyan, N. R. Joyce and G. R. Ciottone (2017). "Earthquake-Related Orthopedic Injuries in Adult Population: A Systematic Review." Prehosp Disaster Med 32(2): 201-208. Bounes, V., B. Charriton-Dadone, J. Levraut, C. Delangue, F. Carpentier, S. Mary-Chalon, V. Houze-Cerfon, A. Sommet, C. H. Houze-Cerfon and M. Ganetsky (2017). "Predicting morphine related side effects in the ED: An international cohort study." Am J Emerg Med 35(4): 531-535. Boyle, K. L., U. Periyanayagam, K. M. Babu, B. T. Rice and M. Bisanzo (2017). "Pediatric Poisonings in a Rural Ugandan Emergency Department." Pediatr Emerg Care. Burke, L. G., A. B. Frakt, D. Khullar, E. J. Orav and A. K. Jha (2017). "Association Between Teaching Status and Mortality in US Hospitals." JAMA 317(20): 2105-2113. Burke, L. G., T. C. Tsai, J. Zheng, E. J. Orav and A. K. Jha (2017). "The effect of Massachusetts health reform on access to care for Medicaid beneficiaries." Am J Manag Care 23(1): e24-e30. Carey, J. L., N. Nader, P. R. Chai, S. Carreiro, M. K. Griswold and K. L. Boyle (2017). "Drugs and Medical Devices: Adverse Events and the Impact on Women's Health." Clin Ther 39(1): 10-22. Cohen, J., K. L. MacArthur, A. Atsawarungruangkit, M. C. Perillo, C. R. Martin, T. M. Berzin, N. I. Shapiro, M. S. Sawhney, S. D. Freedman and S. G. Sheth (2017). "Defining the diagnostic value of hyperlipasemia for acute pancreatitis in the critically ill." Pancreatology 17(2): 176-181. Deliberato, R. O., L. L. Rocha, A. H. Lima, C. R. Santiago, J. C. Terra, A. Dagan and L. A. Celi (2017). "Physician satisfaction with a multi-platform digital scheduling system." PLoS One 12(3): e0174127. Diaz Gomez, C., M. Ngantcha, N. Le Garjean, N. Brouard, M. Lasbleiz, M. Perennes, F. J. Kerdiles, C. Le Lan, R. Moirand and A. Bellou (2017). "Effect of a brief motivational intervention in reducing alcohol consumption in the emergency department: a randomized controlled trial." Eur J Emerg Med. Donnelly, J. P., S. Nair, R. Griffin, J. W. Baddley, M. M. Safford, H. E. Wang and N. I. Shapiro (2017). "Association of Diabetes and Insulin Therapy With Risk of Hospitalization for Infection and 28-Day Mortality Risk." Clin Infect Dis 64(4): 435-442. Donnelly, J. P., M. M. Safford, N. I. Shapiro, J. W. Baddley and H. E. Wang (2017). "Application of the Third International Consensus Definitions for Sepsis (Sepsis-3) Classification: a retrospective population-based cohort study." Lancet Infect Dis 17(6): 661-670. Donnino, M. W., X. Liu, L. W. Andersen, J. C. Rittenberger, B. S. Abella, D. F. Gaieski, J. P. Ornato, R. J. Gazmuri, A. V. Grossestreuer, M. N. Cocchi, A. Abbate, A. Uber, J. Clore, M. A. Peberdy, C. W. Callaway and I. National Post Arrest Research Consortium (2017). "Characterization of mitochondrial injury after cardiac arrest (COMICA)." Resuscitation 113: 56-62. Dubosh, N. M. and J. A. Edlow (2017). "Diagnosis of Subarachnoid Hemorrhage: Time for a Paradigm Shift?" Acad Emerg Med. Dubosh, N. M., J. Fisher, J. Lewis and E. A. Ullman (2017). "Faculty Evaluations Correlate Poorly with Medical Student Examination Performance in a Fourth-Year Emergency Medicine Clerkship." J Emerg Med 52(6): 850-855. Edlow, B. L., S. Hurwitz and J. A. Edlow (2017). "Diagnosis of DWI-negative acute ischemic stroke: A meta-analysis." Neurology 89(3): 256-262. Edlow, J. A. (2017). "Managing Patients With Nontraumatic, Severe, Rapid-Onset Headache." Ann Emerg Med. Edlow, J. A. (2017). "Managing Patients With Transient Ischemic Attack." Ann Emerg Med. Ganetsky, M., G. Lopez, T. Coreanu, V. Novack, S. Horng, N. I. Shapiro and K. A. Bauer (2017). "Risk of Intracranial Hemorrhage in Ground-level Fall With Antiplatelet or Anticoagulant Agents." Acad Emerg Med 24(10): 1258-1266. Gavin, M. C., P. J. Zimetbaum, M. Tuttle, E. A. Ullman and S. A. Grossman (2017). "Cardiac Direct Access Unit: A novel effort to leverage access to cardiologists to reduce hospitalization admissions." Am J Emerg Med 35(6): 910-911. Grossestreuer, A. V., D. F. Gaieski, B. S. Abella, D. J. Wiebe, A. Moskowitz, D. J. Ikeda, J. S. Haukoos and S. M. Perman (2017). "Factors associated with post-arrest withdrawal of life-sustaining therapy." Resuscitation 110: 114-119. Grossestreuer, A. V., D. F. Gaieski, M. W. Donnino, J. I. M. Nelson, E. L. Mutter, B. G. Carr, B. S. Abella and D. J. Wiebe (2017). "Cardiac arrest risk standardization using administrative data compared to registry data." PLoS One 12(8): e0182864. Grossestreuer, A. V., D. F. Gaieski, M. W. Donnino, D. J. Wiebe and B. S. Abella (2017). "Magnitude of temperature elevation is associated with neurologic and survival outcomes in resuscitated cardiac arrest patients with postrewarming pyrexia." J Crit Care 38: 78-83. Grossman, S. A. and W. G. Gossman (2017). Syncope. StatPearls. Treasure Island (FL). Henning, D. J., J. R. Carey, K. Oedorf, D. E. Day, C. S. Redfield, C. J. Huguenel, J. C. Roberts, L. D. Sanchez, R. E. Wolfe and N. I. Shapiro (2017). "The Absence of Fever Is Associated With Higher Mortality and Decreased Antibiotic and IV Fluid Administration in Emergency Department Patients With Suspected Septic Shock." Crit Care Med 45(6): e575-e582. Henning, D. J., K. E. Kearney, M. K. Hall, C. Mahr, N. I. Shapiro and G. Nichol (2017). "Identification of Hypotensive Emergency Department Patients with Cardiogenic Etiologies." Shock. Henning, D. J., M. A. Puskarich, W. H. Self, M. D. Howell, M. W. Donnino, D. M. Yealy, A. E. Jones and N. I. Shapiro (2017). "An Emergency Department Validation of the SEP-3 Sepsis and Septic Shock Definitions and Comparison With 1992 Consensus Definitions." Ann Emerg Med 70(4): 544-552 e545. Henning, D. J. and N. I. Shapiro (2017). "In reply." Ann Emerg Med 70(4): 601. Hiller, K. M., D. Franzen, L. Lawson, D. Manthey, J. Fisher, M. Haughey, M. Tews, N. Dubosh, J. House, A. Trainor, D. Wald and J. Jung (2017). "Clinical Assessment of Medical Students in the Emergency Department, a National Consensus Conference." West J Emerg Med 18(1): 82-83. Holmberg, M. J., A. Moskowitz, P. V. Patel, A. V. Grossestreuer, A. Uber, N. Stankovic, L. W. Andersen and M. W. Donnino (2017). "Thiamine in septic shock patients with alcohol use disorders: An observational pilot study." J Crit Care 43: 61-64. Holmberg, M. J., M. Vognsen, M. S. Andersen, M. W. Donnino and L. W. Andersen (2017). "Bystander automated external defibrillator use and clinical outcomes after out-of-hospital cardiac arrest: A systematic review and meta-analysis." Resuscitation 120: 77-87. Horng, S., D. A. Sontag, Y. Halpern, Y. Jernite, N. I. Shapiro and L. A. Nathanson (2017). "Creating an automated trigger for sepsis clinical decision support at emergency department triage using machine learning." PLoS One 12(4): e0174708. Hou, P. C., M. R. Filbin, H. Wang, L. Ngo, D. T. Huang, W. C. Aird, D. M. Yealy, D. C. Angus, J. A. Kellum, N. I. Shapiro and C. I. Pro (2017). "Endothelial Permeability and Hemostasis in Septic Shock: Results From the ProCESS Trial." Chest 152(1): 22-31. Jessen, M. K., S. Skibsted and N. I. Shapiro (2017). "Number of organ dysfunctions predicts mortality in emergency department patients with suspected infection: a multicenter validation study." Eur J Emerg Med 24(3): 176-182. Johnson, N. J., K. Dodampahala, B. Rosselot, S. M. Perman, M. E. Mikkelsen, M. Goyal, D. F. Gaieski and A. V. Grossestreuer (2017). "The Association Between Arterial Oxygen Tension and Neurological Outcome After Cardiac Arrest." Ther Hypothermia Temp Manag 7(1): 36-41. Joseph, J. W., D. J. Henning, C. S. Strouse, D. T. Chiu, L. A. Nathanson and L. D. Sanchez (2017). "Modeling Hourly Resident Productivity in the Emergency Department." Ann Emerg Med 70(2): 185-190 e186. Joseph, J. W., V. Novack, M. L. Wong, L. A. Nathanson and L. D. Sanchez (2017). "Do Slow and Steady Residents Win the Race? Modeling the Effects of Peak and Overall Resident Productivity in the Emergency Department." J Emerg Med 53(2): 252-259. Karlsson, C. M., M. W. Donnino, H. Kirkegaard, M. N. Cocchi, M. Chase, L. W. Andersen and I. American Heart Association's Get With the Guidelines-Resuscitation (2017). "Acute Respiratory Compromise in the Emergency Department: A Description and Analysis of 3571 Events from the Get With the Guidelines-Resuscitation(R) Registry." J Emerg Med 52(4): 393-402. Kellum, J. A., F. Pike, D. M. Yealy, D. T. Huang, N. I. Shapiro, D. C. Angus and I. and the Protocol-based Care for Early Septic Shock Investigators (2017). "Relationship Between Alternative Resuscitation Strategies, Host Response and Injury Biomarkers, and Outcome in Septic Shock: Analysis of the Protocol-Based Care for Early Septic Shock Study." Crit Care Med 45(3): 438-445. Ketterer, A. R., D. H. Salzman, J. B. Branzetti and M. A. Gisondi (2017). "Supplemental Milestones for Emergency Medicine Residency Programs: A Validation Study." West J Emerg Med 18(1): 69-75. Lam, D. H., L. M. Glassmoyer, J. B. Strom, R. B. Davis, J. M. McCabe, D. E. Cutlip, M. W. Donnino, M. N. Cocchi and D. S. Pinto (2017). "Factors associated with performing urgent coronary angiography in out-of-hospital cardiac arrest patients." Catheter Cardiovasc Interv. Lewis, J., N. Dubosh, C. Rosen, D. Schoenfeld, J. Fisher and E. Ullman (2017). "Interview Day Environment May Influence Applicant Selection of Emergency Medicine Residency Programs." West J Emerg Med 18(1): 142-145. Lokhandwala, S., L. W. Andersen, S. Nair, P. Patel, M. N. Cocchi and M. W. Donnino (2017). "Absolute lactate value vs relative reduction as a predictor of mortality in severe sepsis and septic shock." J Crit Care 37: 179-184. Lokhandwala, S., P. V. Patel and M. W. Donnino (2017). "Response to a letter to the editor." J Crit Care 40: 270. Mechanic, O. J., N. M. Dubosh, C. L. Rosen and A. M. Landry (2017). "Cultural Competency Training in Emergency Medicine." J Emerg Med 53(3): 391-396. Mechanic, O. J. and S. A. Grossman (2017). Myocardial Infarction, Acute. StatPearls. Treasure Island (FL). Mechanic, O. J. and S. A. Grossman (2017). Syncope And Related Paroxysmal Spells. StatPearls. Treasure Island (FL). Mechanic, O. J. and A. B. Kimball (2017). Telehealth Systems. StatPearls. Treasure Island (FL). Milling, T. J., C. Fromm, M. Ganetsky, D. J. Pallin, J. Cong and A. J. Singer (2017). "Management of Major Bleeding Events in Patients Treated With Dabigatran for Nonvalvular Atrial Fibrillation: A Retrospective, Multicenter Review." Ann Emerg Med 69(5): 531-540. Molloy, M. S., C. M. Robertson and G. R. Ciottone (2017). "Chester Step Test as a Reliable, Reproducible Method of Assessing Physical Fitness of Disaster Deployment Personnel." South Med J 110(8): 494-496. Moskowitz, A., L. W. Andersen, M. N. Cocchi, M. Karlsson, P. V. Patel and M. W. Donnino (2017). "Thiamine as a Renal Protective Agent in Septic Shock. A Secondary Analysis of a Randomized, Double-Blind, Placebo-controlled Trial." Ann Am Thorac Soc 14(5): 737-741. Moskowitz, A., L. W. Andersen, M. Karlsson, A. V. Grossestreuer, M. Chase, M. N. Cocchi, K. Berg, M. W. Donnino and I. American Heart Association's Get With the Guidelines-Resuscitation (2017). "Predicting in-hospital mortality for initial survivors of acute respiratory compromise (ARC) events: Development and validation of the ARC Score." Resuscitation 115: 5-10. Moskowitz, A., Y. Omar, M. Chase, S. Lokhandwala, P. Patel, L. W. Andersen, M. N. Cocchi and M. W. Donnino (2017). "Reasons for death in patients with sepsis and septic shock." J Crit Care 38: 284-288. Moskowitz, A., P. Patel and M. W. Donnino (2017). "Response to a Letter to the Editor." J Crit Care 39: 279. Moskowitz, A., P. V. Patel, A. V. Grossestreuer, M. Chase, N. I. Shapiro, K. Berg, M. N. Cocchi, M. J. Holmberg, M. W. Donnino and S. Center for Resuscitation (2017). "Quick Sequential Organ Failure Assessment and Systemic Inflammatory Response Syndrome Criteria as Predictors of Critical Care Intervention Among Patients With Suspected Infection." Crit Care Med 45(11): 1813-1819. Myers, L., B. Mikhael, P. Currier, K. Berg, A. Jena, M. Donnino, L. W. Andersen and I. American Heart Association's Get with the Guidelines-Resuscitation (2017). "The association between physician turnover (the "July Effect") and survival after in-hospital cardiac arrest." Resuscitation 114: 133-140. Nadler, J., N. Stankovic, A. Uber, M. J. Holmberg, L. D. Sanchez, R. E. Wolfe, M. Chase, M. W. Donnino and M. N. Cocchi (2017). "Outcomes in variceal hemorrhage following the use of a balloon tamponade device." Am J Emerg Med 35(10): 1500-1502. Nagurney, J. M., W. Fleischman, L. Han, L. Leo-Summers, H. G. Allore and T. M. Gill (2017). "Emergency Department Visits Without Hospitalization Are Associated With Functional Decline in Older Persons." Ann Emerg Med 69(4): 426-433. Oedorf, K., D. E. Day, Y. Lior, V. Novack, L. D. Sanchez, R. E. Wolfe, H. Kirkegaard, N. I. Shapiro and D. J. Henning (2017). "Serum Lactate Predicts Adverse Outcomes in Emergency Department Patients With and Without Infection." West J Emerg Med 18(2): 258-266. Pathanasethpong, A., C. Soomlek, K. Morley, M. Morley, P. Polpinit, A. Dagan, J. W. Weis and L. A. Celi (2017). "Tackling Regional Public Health Issues Using Mobile Health Technology: Event Report of an mHealth Hackathon in Thailand." JMIR Mhealth Uhealth 5(10): e155. Pearlmutter, M. D., K. H. Dwyer, L. G. Burke, N. Rathlev, L. Maranda and G. Volturo (2017). "Analysis of Emergency Department Length of Stay for Mental Health Patients at Ten Massachusetts Emergency Departments." Ann Emerg Med 70(2): 193-202 e116. Piao, L., Y. H. Fang, M. M. Kubler, M. W. Donnino and W. W. Sharp (2017). "Enhanced pyruvate dehydrogenase activity improves cardiac outcomes in a murine model of cardiac arrest." PLoS One 12(9): e0185046. Rappaport, D. E., J. J. Solano and J. A. Edlow (2017). "Bilateral Pneumothoraces as a Complication of Endoscopic Retrograde Cholangiopancreatography." J Emerg Med 52(4): 573-575. Reich, B. and J. Edlow (2017). "A 57-Year-Old Man with Right-Sided Chest Pain." J Emerg Med 52(4): e167-e168. Rotmensch, M., Y. Halpern, A. Tlimat, S. Horng and D. Sontag (2017). "Learning a Health Knowledge Graph from Electronic Medical Records." Sci Rep 7(1): 5994. Rybarczyk MM, Schafer JM, Elm CM, et al. A systematic review of burn injuries in low- and middle-income countries: Epidemiology in the WHO-defined African Region. African Journal of Emergency Medicine. 2017. Samuels, E. A., D. H. Boatright, L. Sanchez, S. Heron, A. T. Liferidge, T. Wilson, A. Pierce, A. Landry, L. Moreno-Walton, J. Druck, J. Moll and B. Lopez (2017). "Clinical vignettes inadequate to assess impact of implicit bias: concerning limitations of a systematic review." Acad Emerg Med. Sanchez, L. D., D. T. Chiu, L. Nathanson, S. Horng, R. E. Wolfe, M. L. Zeidel, K. Boyd, C. Tibbles, S. Calder, J. Dufresne and J. J. Yang (2017). "A Model for Electronic Handoff Between the Emergency Department and Inpatient Units." J Emerg Med 53(1): 142-150. Sarin, R. R., S. Cattamanchi, A. Alqahtani, M. Aljohani, M. Keim and G. R. Ciottone (2017). "Disaster Education: A Survey Study to Analyze Disaster Medicine Training in Emergency Medicine Residency Programs in the United States." Prehosp Disaster Med 32(4): 368-373. Schuetz, P., R. Birkhahn, R. Sherwin, A. E. Jones, A. Singer, J. A. Kline, M. S. Runyon, W. H. Self, D. M. Courtney, R. M. Nowak, D. F. Gaieski, S. Ebmeyer, S. Johannes, J. C. Wiemer, A. Schwabe and N. I. Shapiro (2017). "Serial Procalcitonin Predicts Mortality in Severe Sepsis Patients: Results From the Multicenter Procalcitonin MOnitoring SEpsis (MOSES) Study." Crit Care Med 45(5): 781-789. Schuetz, P., S. Ebmeyer, S. Johannes, J. C. Wiemer, A. Schwabe and N. I. Shapiro (2017). "The authors reply." Crit Care Med 45(10): e1098-e1099. Self, W. H., J. Rosen, S. C. Sharp, M. R. Filbin, P. C. Hou, A. D. Parekh, M. C. Kurz and N. I. Shapiro (2017). "Diagnostic Accuracy of FebriDx: A Rapid Test to Detect Immune Responses to Viral and Bacterial Upper Respiratory Infections." J Clin Med 6(10). Shy, B. D., G. T. Loo, T. Lowry, E. Y. Kim, U. Hwang, L. D. Richardson and J. S. Shapiro (2017). "Bouncing Back Elsewhere: Multilevel Analysis of Return Visits to the Same or a Different Hospital After Initial Emergency Department Presentation." Ann Emerg Med. Singh, A. and S. A. Grossman (2017). Coronary Syndrome, Acute. StatPearls. Treasure Island (FL). Singleton, J., J. M. Schafer, J. S. Hinson, E. M. Kane, S. Wright and B. Hoffmann (2017). "Bedside sonography for the diagnosis of esophageal food impaction." Am J Emerg Med 35(5): 720-724. Smulowitz, P. B., O. Barrett, M. M. Hall, S. A. Grossman, E. A. Ullman and V. Novack (2017). "Physician Variability in Management of Emergency Department Patients with Chest Pain." West J Emerg Med 18(4): 592-600. Smulowitz, P. B., Y. Dizitzer, S. Tadiri, L. Thibodeau, L. Jagminas and V. Novack (2017). "Impact of implementation of the HEART pathway using an electronic clinical decision support tool in a community hospital setting." Am J Emerg Med. Solano, J. J., N. M. Dubosh, P. D. Anderson, R. E. Wolfe, J. A. Edlow and S. A. Grossman (2017). "Hospital ward transfer to intensive care unit as a quality marker in emergency medicine." Am J Emerg Med 35(5): 753-756. St Clair, J. W. and M. L. Wong (2017). "Ileal Neobladder: An Important Cause of Non-Anion Gap Metabolic Acidosis." J Emerg Med 52(5): e179-e182. Stowell, C. P., G. Whitman, S. Granger, H. Gomez, S. F. Assmann, M. J. Massey, N. I. Shapiro, M. E. Steiner and E. Bennett-Guerrero (2017). "The impact of red blood cell storage duration on tissue oxygenation in cardiac surgery." J Thorac Cardiovasc Surg 153(3): 610-619 e612. Tarnutzer, A. A., S. H. Lee, K. A. Robinson, Z. Wang, J. A. Edlow and D. E. Newman-Toker (2017). "ED misdiagnosis of cerebrovascular events in the era of modern neuroimaging: A meta-analysis." Neurology 88(15): 1468-1477. Tolins, M. L., D. J. Henning, D. F. Gaieski, A. V. Grossestreuer, A. Jaworski and N. J. Johnson (2017). "Initial arterial carbon dioxide tension is associated with neurological outcome after resuscitation from cardiac arrest." Resuscitation 114: 53-58. Vellinga, N. A. R., E. C. Boerma, M. Koopmans, A. Donati, A. Dubin, N. I. Shapiro, R. M. Pearse, P. H. J. van der Voort, A. M. Dondorp, T. Bafi, M. Fries, T. Akarsu-Ayazoglu, A. Pranskunas, S. Hollenberg, G. Balestra, M. van Iterson, F. Sadaka, G. Minto, U. Aypar, F. J. Hurtado, G. Martinelli, D. Payen, F. van Haren, A. Holley, H. Gomez, R. L. Mehta, A. H. Rodriguez, C. Ruiz, H. S. Canales, J. Duranteau, P. E. Spronk, S. Jhanji, S. Hubble, M. Chierego, C. Jung, D. Martin, C. Sorbara, J. Bakker, C. Ince and S. s. g. micro (2017). "Mildly elevated lactate levels are associated with microcirculatory flow abnormalities and increased mortality: a microSOAP post hoc analysis." Crit Care 21(1): 255. Willner, D. A. and S. S. Bhimji (2017). Pericardial Effusion. StatPearls. Treasure Island (FL). Wilson, M., A. V. Grossestreuer, D. F. Gaieski, B. S. Abella, W. Frohna and M. Goyal (2017). "Incidence of coronary intervention in cardiac arrest survivors with non-shockable initial rhythms and no evidence of ST-elevation MI (STEMI)." Resuscitation 113: 83-86. Wong, M. L. (2017). "Abscess of the Base of Tongue and Epiglottis." J Emerg Med. Wong, M. L. (2017). "Letter to the Editor regarding Gaspari and colleague's "Emergency department point-of-care ultrasound in out-of-hospital and in-ED cardiac arrest"." Resuscitation 114: e5. Yao, Y., N. J. Johnson, S. M. Perman, V. Ramjee, A. V. Grossestreuer and D. F. Gaieski (2017). "Myocardial dysfunction after out-of-hospital cardiac arrest: predictors and prognostic implications." Intern Emerg Med. Yun, B. J., S. C. Chou, J. M. Nagurney, B. A. White, C. W. Wittmann and A. S. Raja (2017). "ED utilization of medical clearance testing for psychiatric admission: National Hospital Ambulatory Medical Care Survey analysis." Am J Emerg Med. Adams, C. B., K. E. Vollman, E. L. Leventhal and N. M. Acquisto (2016). "Emergent pediatric anticoagulation reversal using a 4-factor prothrombin complex concentrate." Am J Emerg Med 34(6): 1182 e1181-1182. Aisiku, I. P., P. R. Chen, H. Truong, D. R. Monsivais and J. Edlow (2016). "Admission serum lactate predicts mortality in aneurysmal subarachnoid hemorrhage." Am J Emerg Med 34(4): 708-712. Ali, N. J., J. Jesus and P. B. Smulowitz (2016). "Observation Care: Ethical and Legal Considerations for the Emergency Physician." J Emerg Med 50(3): 527-533 e521. Andersen, L. W., K. M. Berg, M. Chase, M. N. Cocchi, J. Massaro, M. W. Donnino and I. American Heart Association's Get With The Guidelines-Resuscitation (2016). "Acute respiratory compromise on inpatient wards in the United States: Incidence, outcomes, and factors associated with in-hospital mortality." Resuscitation 105: 123-129. Andersen, L. W., K. M. Berg and M. W. Donnino (2016). "Epinephrine Administration and Pediatric In-Hospital Cardiac Arrest--Reply." JAMA 315(4): 417. Andersen, L. W., K. M. Berg, S. Montissol, C. Sulmonte, J. Balkema, M. N. Cocchi, R. E. Wolfe, A. Balasubramanyam, X. Liu and M. W. Donnino (2016). "Pyruvate Dehydrogenase Activity Is Decreased in Emergency Department Patients With Diabetic Ketoacidosis." Acad Emerg Med 23(6): 685-689. Andersen, L. W., M. J. Holmberg, K. M. Berg, M. Chase, M. N. Cocchi, C. Sulmonte, J. Balkema, M. MacDonald, S. Montissol, V. Senthilnathan, D. Liu, K. Khabbaz, A. Lerner, V. Novack, X. Liu and M. W. Donnino (2016). "Thiamine as an adjunctive therapy in cardiac surgery: a randomized, double-blind, placebo-controlled, phase II trial." Crit Care 20: 92. Andersen, L. W., W. Y. Kim, M. Chase, K. M. Berg, S. J. Mortensen, A. Moskowitz, V. Novack, M. N. Cocchi, M. W. Donnino and I. American Heart Association's Get With the Guidelines - Resuscitation (2016). "The prevalence and significance of abnormal vital signs prior to in-hospital cardiac arrest." Resuscitation 98: 112-117. Andersen, L. W., T. Kurth, M. Chase, K. M. Berg, M. N. Cocchi, C. Callaway, M. W. Donnino and I. American Heart Association's Get With The Guidelines-Resuscitation (2016). "Early administration of epinephrine (adrenaline) in patients with cardiac arrest with initial shockable rhythm in hospital: propensity score matched analysis." BMJ 353: i1577. Andersen, L. W., X. Liu, S. Montissol, M. J. Holmberg, C. Sulmonte, J. L. Balkema, M. N. Cocchi, R. J. Gazmuri, K. M. Berg, M. Chase and M. W. Donnino (2016). "Cytochrome C in Patients with Septic Shock." Shock 45(5): 512-517. Andersen, L. W., T. T. Raymond, R. A. Berg, V. M. Nadkarni, A. V. Grossestreuer, T. Kurth, M. W. Donnino and I. American Heart Association's Get With The Guidelines-Resuscitation (2016). "Association Between Tracheal Intubation During Pediatric In-Hospital Cardiac Arrest and Survival." JAMA 316(17): 1786-1797. Angelidis, P., L. Berman, M. L. Casas-Perez, L. A. Celi, G. E. Dafoulas, A. Dagan, B. Escobar, D. M. Lopez, J. Noguez, J. S. Osorio-Valencia, C. Otine, K. Paik, L. Rojas-Potosi, A. L. Symeonidis and E. Winkler (2016). "The hackathon model to spur innovation around global mHealth." J Med Eng Technol: 1-8. Atefi, G., O. Aisiku, N. Shapiro, C. Hauser, J. Dalle Lucca, R. Flaumenhaft and G. C. Tsokos (2016). "Complement Activation in Trauma Patients Alters Platelet Function." Shock 46(3 Suppl 1): 83-88. Bellou, A., S. Al-Hammadi, E. H. Aburawi, S. Dhanasekaran, A. Nemmar, A. Oulhaj, M. Shafiuallah, M. Zerrouki, J. Yasin, L. Bellou, S. L. Alper, S. Bellou and E. Kazzam (2016). "4-Aminopyridine, A Blocker of Voltage-Dependent K+ Channels, Restores Blood Pressure and Improves Survival in the Wistar Rat Model of Anaphylactic Shock." Crit Care Med. Bellou, A., S. P. Conroy and C. A. Graham (2016). "The European curriculum for geriatric emergency medicine." Eur J Emerg Med 23(4): 239. Bordonaro, S. F., D. C. McGillicuddy, F. Pompei, D. Burmistrov, C. Harding and L. D. Sanchez (2016). "Human temperatures for syndromic surveillance in the emergency department: data from the autumn wave of the 2009 swine flu (H1N1) pandemic and a seasonal influenza outbreak." BMC Emerg Med 16: 16. Bounes, V., B. Valle, F. Concina, D. Lauque, J. L. Ducasse and J. A. Edlow (2016). "Treatment of Acute Renal Colic in US and French EDs: Simulated Cases and Real Cases in Acute Pain Management." Am J Emerg Med 34(10): 1955-1958. Brown, S. M., H. J. Aboumatar, L. Francis, J. Halamka, R. Rozenblum, E. Rubin, B. Sarnoff Lee, J. Sugarman, K. Turner, M. Vorwaller, D. L. Frosch, A. Privacy, G. Engagement Task Force of the Libretto Consortium of the and F. Betty Moore (2016). "Balancing digital information-sharing and patient privacy when engaging families in the intensive care unit." J Am Med Inform Assoc 23(5): 995-1000. Buggeskov, K. B., M. M. Sundskard, T. Jonassen, L. W. Andersen, N. H. Secher, H. B. Ravn, D. A. Steinbruchel, J. C. Jakobsen and J. Wetterslev (2016). "Pulmonary artery perfusion versus no pulmonary perfusion during cardiopulmonary bypass in patients with COPD: a randomised clinical trial." BMJ Open Respir Res 3(1): e000146. Cartwright, M., M. Rottman, N. I. Shapiro, B. Seiler, P. Lombardo, N. Gamini, J. Tomolonis, A. L. Watters, A. Waterhouse, D. Leslie, D. Bolgen, A. Graveline, J. H. Kang, T. Didar, N. Dimitrakakis, D. Cartwright, M. Super and D. E. Ingber (2016). "A Broad-Spectrum Infection Diagnostic that Detects Pathogen-Associated Molecular Patterns (PAMPs) in Whole Blood." EBioMedicine 9: 217-227. Chiu, D. T., J. J. Solano, E. Ullman, J. Pope, C. Tibbles, S. Horng, L. A. Nathanson, J. Fisher and C. L. Rosen (2016). "The Integration of Electronic Medical Student Evaluations Into an Emergency Department Tracking System is Associated With Increased Quality and Quantity of Evaluations." J Emerg Med 51(4): 432-439. Chrisinger, B. W., A. V. Grossestreuer, M. C. Laguna, H. M. Griffis, C. C. Branas, D. J. Wiebe and R. M. Merchant (2016). "Characteristics of automated external defibrillator coverage in Philadelphia, PA, based on land use and estimated risk." Resuscitation 109: 9-15. Cook, D. P., M. V. Rector, D. C. Bouzek, A. S. Michalski, N. D. Gansemer, L. R. Reznikov, X. Li, M. R. Stroik, L. S. Ostedgaard, M. H. Abou Alaiwa, M. A. Thompson, Y. S. Prakash, R. Krishnan, D. K. Meyerholz, C. Y. Seow and D. A. Stoltz (2016). "Cystic Fibrosis Transmembrane Conductance Regulator in Sarcoplasmic Reticulum of Airway Smooth Muscle. Implications for Airway Contractility." Am J Respir Crit Care Med 193(4): 417-426. Costantino, G., G. Falavigna, M. Solbiati, I. Casagranda, B. C. Sun, S. A. Grossman, J. V. Quinn, M. J. Reed, A. Ungar, N. Montano, R. Furlan and R. Ippoliti (2016). "Neural networks as a tool to predict syncope risk in the Emergency Department." Europace. Costantino, G., B. C. Sun, F. Barbic, I. Bossi, G. Casazza, F. Dipaola, D. McDermott, J. Quinn, M. J. Reed, R. S. Sheldon, M. Solbiati, V. Thiruganasambandamoorthy, D. Beach, N. Bodemer, M. Brignole, I. Casagranda, A. Del Rosso, P. Duca, G. Falavigna, S. A. Grossman, R. Ippoliti, A. D. Krahn, N. Montano, C. A. Morillo, B. Olshansky, S. R. Raj, M. H. Ruwald, F. P. Sarasin, W. K. Shen, I. Stiell, A. Ungar, J. Gert van Dijk, N. van Dijk, W. Wieling and R. Furlan (2016). "Syncope clinical management in the emergency department: a consensus from the first international workshop on syncope risk stratification in the emergency department." Eur Heart J 37(19): 1493-1498. Day, D. E., N. I. Shapiro and D. J. Henning (2016). "The Utility of Inflammatory and Endothelial Markers to Identify Infection in Emergency Department Patients." Shock 46(1): 108-109. Donnelly, J. P., S. Nair, R. Griffin, J. W. Baddley, M. M. Safford, H. E. Wang and N. I. Shapiro (2016). "Diabetes and Insulin Therapy are associated with Increased Risk of Hospitalization for Infection but not Mortality: A Longitudinal Cohort Study." Clin Infect Dis. Donnino, M. W., L. W. Andersen, K. M. Berg, M. Chase, R. Sherwin, H. Smithline, E. Carney, L. Ngo, P. V. Patel, X. Liu, D. Cutlip, P. Zimetbaum, M. N. Cocchi and G. Collaborating Authors from the Beth Israel Deaconess Medical Center's Center for Resuscitation Science Research (2016). "Corticosteroid therapy in refractory shock following cardiac arrest: a randomized, double-blind, placebo-controlled, trial." Crit Care 20: 82. Donnino, M. W., L. W. Andersen, K. M. Berg, J. C. Reynolds, J. P. Nolan, P. T. Morley, E. Lang, M. N. Cocchi, T. Xanthos, C. W. Callaway, J. Soar and I. A. T. Force (2016). "Temperature Management After Cardiac Arrest: An Advisory Statement by the Advanced Life Support Task Force of the International Liaison Committee on Resuscitation and the American Heart Association Emergency Cardiovascular Care Committee and the Council on Cardiopulmonary, Critical Care, Perioperative and Resuscitation." Resuscitation 98: 97-104. Donnino, M. W., L. W. Andersen, M. Chase, K. M. Berg, M. Tidswell, T. Giberson, R. Wolfe, A. Moskowitz, H. Smithline, L. Ngo, M. N. Cocchi and G. Center for Resuscitation Science Research (2016). "Randomized, Double-Blind, Placebo-Controlled Trial of Thiamine as a Metabolic Resuscitator in Septic Shock: A Pilot Study." Crit Care Med 44(2): 360-367. Dubosh, N. M., M. F. Bellolio, A. A. Rabinstein and J. A. Edlow (2016). "Sensitivity of Early Brain Computed Tomography to Exclude Aneurysmal Subarachnoid Hemorrhage: A Systematic Review and Meta-Analysis." Stroke 47(3): 750-755. Ebbeling, L. G., E. Goralnick, M. J. Bivens, M. Femino, C. G. Berube, B. Sears and L. D. Sanchez (2016). "A comparison of command center activations versus disaster drills at three institutions from 2013 to 2015." Am J Disaster Med 11(1): 33-42. Edlow, A. G., B. L. Edlow and J. A. Edlow (2016). "Diagnosis of Acute Neurologic Emergencies in Pregnant and Postpartum Women." Emerg Med Clin North Am 34(4): 943-965. Edlow, J. A. (2016). "A New Approach to the Diagnosis of Acute Dizziness in Adult Patients." Emerg Med Clin North Am 34(4): 717-742. Edlow, J. A. and M. K. Abraham (2016). "Neurologic Emergencies-Making the Diagnosis and Treating the Life Threats." Emerg Med Clin North Am 34(4): xvii-xviii. Edlow, J. A. and D. Newman-Toker (2016). "Using the Physical Examination to Diagnose Patients with Acute Dizziness and Vertigo." J Emerg Med 50(4): 617-628. Faiz, A., C. Donovan, M. A. Nieuwenhuis, M. van den Berge, D. S. Postma, S. Yao, C. Y. Park, R. Hirsch, J. J. Fredberg, G. Tjin, A. J. Halayko, K. L. Rempel, J. P. Ward, T. Lee, Y. Bosse, D. C. Nickle, M. Obeidat, J. M. Vonk, J. L. Black, B. G. Oliver, R. Krishnan, B. McParland, J. E. Bourke and J. K. Burgess (2016). "Latrophilin receptors: novel bronchodilator targets in asthma." Thorax. Faiz, A., C. Donovan, M. A. Nieuwenhuis, M. van den Berge, D. S. Postma, S. Yao, C. Y. Park, R. Hirsch, J. J. Fredberg, G. Tjin, A. J. Halayko, K. L. Rempel, J. P. Ward, T. Lee, Y. Bosse, D. C. Nickle, M. Obeidat, J. M. Vonk, J. L. Black, B. G. Oliver, R. Krishnan, B. McParland, J. E. Bourke and J. K. Burgess (2017). "Latrophilin receptors: novel bronchodilator targets in asthma." Thorax 72(1): 74-82. Felton, D., E. M. Foley, S. J. Traub, A. Vodonos and M. Ganetsky (2016). "Risk of Venous Thromboembolism After Receiving Prothrombin Complex Concentrate for Warfarin-associated Intracranial Hemorrhage." J Emerg Med 50(1): 1-6. Feng, D., J. M. Steinke, R. Krishnan, G. Birrane and M. R. Pollak (2016). "Functional Validation of an Alpha-Actinin-4 Mutation as a Potential Cause of an Aggressive Presentation of Adolescent Focal Segmental Glomerulosclerosis: Implications for Genetic Testing." PLoS One 11(12): e0167467. Foley, E. M., R. E. Wolfe, J. L. Burstein, J. A. Edlow and S. A. Grossman (2016). "Utility of Procedural Sedation as a Marker for Quality Assurance in Emergency Medicine." J Emerg Med 50(5): 711-714. Freeman, B. K., A. Landry, R. Trevino, D. Grande and J. A. Shea (2016). "Understanding the Leaky Pipeline: Perceived Barriers to Pursuing a Career in Medicine or Dentistry Among Underrepresented-in-Medicine Undergraduate Students." Acad Med 91(7): 987-993. Ganz, A., J. M. Schafer, Z. Yang, J. Yi, G. Lord and G. Ciottone (2016). "Evaluation of a Scalable Information Analytics System for Enhanced Situational Awareness in Mass Casualty Events." Int J Telemed Appl 2016: 9362067. Ganz, A., J. M. Schafer, Y. Zhuorui, Y. Jun and G. Ciottone (2016). "DIORAMA enhances efficiency of a mass casualty incident: System and experimentation." Conf Proc IEEE Eng Med Biol Soc 2016: 2644-2647. Garbern, S. C., L. G. Ebbeling and S. A. Bartels (2016). "A Systematic Review of Health Outcomes Among Disaster and Humanitarian Responders." Prehosp Disaster Med 31(6): 635-642. Giberson, B., A. Uber, F. G. D, J. B. Miller, C. Wira, K. Berg, T. Giberson, M. N. Cocchi, S. A. B and M. W. Donnino (2016). "When to Stop CPR and When to Perform Rhythm Analysis: Potential Confusion Among ACLS Providers." J Intensive Care Med 31(8): 537-543. Grossestreuer, A. V., B. S. Abella, K. R. Sheak, M. J. Cinousis, S. M. Perman, M. Leary, D. J. Wiebe and D. F. Gaieski (2016). "Inter-rater reliability of post-arrest cerebral performance category (CPC) scores." Resuscitation 109: 21-24. Grossman, A. M., K. A. Volz, N. I. Shapiro, R. Salem, L. D. Sanchez, P. Smulowitz and S. A. Grossman (2016). "Comparison of 1-Day Emergency Department Observation and Inpatient Ward for 1-Day Admissions in Syncope Patients." J Emerg Med 50(2): 217-222. Grossman, S. A. (2016). "Dysrhythmia and occult syncope as an explanation for falls in older patients." Heart 102(9): 657. Gurley, K. L., R. E. Wolfe, J. L. Burstein, J. A. Edlow, J. F. Hill and S. A. Grossman (2016). "Use of Physician Concerns and Patient Complaints as Quality Assurance Markers in Emergency Medicine." West J Emerg Med 17(6): 749-755. Halpern, Y., S. Horng, Y. Choi and D. Sontag (2016). "Electronic medical record phenotyping using the anchor and learn framework." J Am Med Inform Assoc 23(4): 731-740. Henning, D. J., J. R. Carey, K. Oedorf, D. E. Day, C. S. Redfield, C. J. Huguenel, J. C. Roberts, V. Novack, L. D. Sanchez, R. E. Wolfe and N. I. Shapiro (2016). "Assessing The Predictive Value of Clinical Factors Used to Determine The Presence of Sepsis Causing Shock in the Emergency Department." Shock 46(1): 27-32. Henning, D. J. and N. I. Shapiro (2016). "Goal-Directed Resuscitation in Septic Shock: A Critical Analysis." Clin Chest Med 37(2): 231-239. Hiorns, J. E., C. M. Bidan, O. E. Jensen, R. Gosens, L. E. Kistemaker, J. J. Fredberg, J. P. Butler, R. Krishnan and B. S. Brook (2016). "Airway and Parenchymal Strains during Bronchoconstriction in the Precision Cut Lung Slice." Front Physiol 7: 309. Hou, P. C., M. R. Filbin, A. Napoli, J. Feldman, P. S. Pang, J. Sankoff, B. M. Lo, H. Dickey-White, R. H. Birkhahn and N. I. Shapiro (2016). "Cardiac Output Monitoring Managing Intravenous Therapy (COMMIT) to Treat Emergency Department Patients with Sepsis." Shock 46(2): 132-138. Hoyer, R., R. Means, J. Robertson, D. Rappaport, C. Schmier, T. Jones, L. A. Stolz, S. J. Kaplan, W. J. Adamas-Rappaport and R. Amini (2016). "Ultrasound-guided procedures in medical education: a fresh look at cadavers." Intern Emerg Med 11(3): 431-436. Huang, G. C., C. D. Tibbles, L. R. Newman and R. M. Schwartzstein (2016). "Consensus of the Millennium Conference on Teaching High Value Care." Teach Learn Med 28(1): 97-104. Ikeda, K., X. Liu, K. Kida, E. Marutani, S. Hirai, M. Sakaguchi, L. W. Andersen, A. Bagchi, M. N. Cocchi, K. M. Berg, F. Ichinose and M. W. Donnino (2016). "Thiamine as a neuroprotective agent after cardiac arrest." Resuscitation 105: 138-144. Imperato, J., T. Mehegan, J. Patrick, C. Bushey, G. Setnik and L. D. Sanchez (2016). "Can an emergency department clinical "triggers" program based on abnormal vital signs improve patient outcomes?" CJEM: 1-7. Jessen, M. K., J. Mackenhauer, A. M. Hvass, S. Ellermann-Eriksen, S. Skibsted, H. Kirkegaard, H. C. Schonheyder, N. I. Shapiro and C. S. Network (2016). "Prediction of bacteremia in the emergency department: an external validation of a clinical decision rule." Eur J Emerg Med 23(1): 44-49. Johnson, N. J., B. Rosselot, S. M. Perman, K. Dodampahala, M. Goyal, D. F. Gaieski and A. V. Grossestreuer (2016). "The association between hemoglobin concentration and neurologic outcome after cardiac arrest." J Crit Care 36: 218-222. Joseph, J. W., D. T. Chiu, L. A. Nathanson and S. Horng (2016). "A rules based algorithm to generate problem lists using emergency department medication reconciliation." Int J Med Inform 94: 117-122. Kalenderian, E., J. D. Halamka and H. Spallek (2016). "An EHR with Teeth." Appl Clin Inform 7(2): 425-429. Kesler, K. A., M. I. Langdorf and M. J. Burns (2016). "Opioid Dependent Malingerer with Self-Induced Sepsis." West J Emerg Med 17(6): 798-800. Khoory, J., J. Estanislau, A. Elkhal, A. Lazaar, M. I. Melhorn, A. Brodsky, B. Illigens, I. Hamachi, Y. Kurishita, A. R. Ivanov, S. Shevkoplyas, N. I. Shapiro and I. C. Ghiran (2016). "Ligation of Glycophorin A Generates Reactive Oxygen Species Leading to Decreased Red Blood Cell Function." PLoS One 11(1): e0141206. Kim, W. Y., S. Ahn, J. S. Hong, G. C. Cho, D. W. Seo, K. W. Jeung, Y. M. Kim, K. N. Park, K. Berg and M. W. Donnino (2016). "The impact of downtime on neurologic intact survival in patients with targeted temperature management after out-of-hospital cardiac arrest: National multicenter cohort study." Resuscitation 105: 203-208. Klasco, R. S., R. E. Wolfe, T. Lee, P. Anderson, L. S. Jacobson, J. Solano, J. Edlow and S. A. Grossman (2016). "Can medical record reviewers reliably identify errors and adverse events in the ED?" Am J Emerg Med 34(6): 1043-1048. Koenig, K. L., A. Almadhyan and M. J. Burns (2016). "Identify-Isolate-Inform: A Tool for Initial Detection and Management of Zika Virus Patients in the Emergency Department." West J Emerg Med 17(3): 238-244. Koenig, K. L., S. Shastry, B. Mzahim, A. Almadhyan and M. J. Burns (2016). "Mumps Virus: Modification of the Identify-Isolate-Inform Tool for Frontline Healthcare Providers." West J Emerg Med 17(5): 490-496. Koh, C., A. Minns and P. Rosen (2016). "A Practical Approach to the Ethanol-Intoxicated Patient in the Emergency Department." J Emerg Med 51(4): 463-464. Krishnan, R., J. A. Park, C. Y. Seow, P. V. Lee and A. G. Stewart (2016). "Cellular Biomechanics in Drug Screening and Evaluation: Mechanopharmacology." Trends Pharmacol Sci 37(2): 87-100. Kristensen, A. K., J. G. Holler, J. Hallas, A. Lassen and N. I. Shapiro (2016). "Is Shock Index a Valid Predictor of Mortality in Emergency Department Patients With Hypertension, Diabetes, High Age, or Receipt of beta- or Calcium Channel Blockers?" Ann Emerg Med 67(1): 106-113 e106. Ledderose, C., Y. Bao, S. Ledderose, T. Woehrle, M. Heinisch, L. Yip, J. Zhang, S. C. Robson, N. I. Shapiro and W. G. Junger (2016). "Mitochondrial Dysfunction, Depleted Purinergic Signaling, and Defective T Cell Vigilance and Immune Defense." J Infect Dis 213(3): 456-464. Limkakeng, A. T., Jr., A. A. Monte, C. Kabrhel, M. Puskarich, L. Heitsch, E. L. Tsalik and N. I. Shapiro (2016). "Systematic Molecular Phenotyping: A Path Toward Precision Emergency Medicine?" Acad Emerg Med 23(10): 1097-1106. Lin, M. J., K. Gurley and B. Hoffmann (2016). "Bedside Ultrasound for Tracheal Tube Verification in Pediatric Emergency Department and ICU Patients: A Systematic Review." Pediatr Crit Care Med 17(10): e469-e476. Liu, X., N. Perakakis, H. Gong, J. P. Chamberland, M. T. Brinkoetter, O. R. Hamnvik and C. S. Mantzoros (2016). "Adiponectin administration prevents weight gain and glycemic profile changes in diet-induced obese immune deficient Rag1-/- mice lacking mature lymphocytes." Metabolism 65(12): 1720-1730. Massey, M. J. and N. I. Shapiro (2016). "A guide to human in vivo microcirculatory flow image analysis." Crit Care 20: 35. McArthur, R., J. A. Edlow and L. E. Nigrovic (2016). "Validation of the bacterial meningitis score in adults presenting to the ED with meningitis." Am J Emerg Med 34(7): 1265-1267. Meisel, Z. F., J. P. Metlay, L. Sinnenberg, A. S. Kilaru, A. Grossestreuer, F. K. Barg, F. S. Shofer, K. V. Rhodes and J. Perrone (2016). "A Randomized Trial Testing the Effect of Narrative Vignettes Versus Guideline Summaries on Provider Response to a Professional Organization Clinical Policy for Safe Opioid Prescribing." Ann Emerg Med 68(6): 719-728. Miller, R., H. Ho, V. Ng, M. Tran, D. Rappaport, W. J. Rappaport, S. J. Dandorf, J. Dunleavy, R. Viscusi and R. Amini (2016). "Introducing a Fresh Cadaver Model for Ultrasound-guided Central Venous Access Training in Undergraduate Medical Education." West J Emerg Med 17(3): 362-366. Mitchell, J. D., C. Ku, V. Wong, L. J. Fisher, S. L. Muret-Wagstaff, Q. Ott, S. Shahul, R. Bose, C. Tibbles and S. B. Jones (2016). "The Impact of a Resident Communication Skills Curriculum on Patients' Experiences of Care." A A Case Rep 6(3): 65-75. Moskowitz, A., L. W. Andersen, M. Cocchi and M. W. Donnino (2016). "The Misapplication of Severity-of-Illness Scores toward Clinical Decision Making." Am J Respir Crit Care Med 194(3): 256-258. Moskowitz, A., J. Lee, M. W. Donnino, R. Mark, L. A. Celi and J. Danziger (2016). "The Association Between Admission Magnesium Concentrations and Lactic Acidosis in Critical Illness." J Intensive Care Med 31(3): 187-192. Nelson, P., A. J. Bell, L. Nathanson, L. D. Sanchez, J. Fisher and P. D. Anderson (2016). "Ethnographic analysis on the use of the electronic medical record for clinical handoff." Intern Emerg Med. Pearlmutter, M. D., K. H. Dwyer, L. G. Burke, N. Rathlev, L. Maranda and G. Volturo (2016). "Analysis of Emergency Department Length of Stay for Mental Health Patients at Ten Massachusetts Emergency Departments." Ann Emerg Med. Peberdy, M. A., L. W. Andersen, A. Abbate, L. R. Thacker, D. Gaieski, B. S. Abella, A. V. Grossestreuer, J. C. Rittenberger, J. Clore, J. Ornato, M. N. Cocchi, C. Callaway, M. Donnino and I. National Post Arrest Research Consortium (2016). "Inflammatory markers following resuscitation from out-of-hospital cardiac arrest-A prospective multicenter observational study." Resuscitation 103: 117-124. Perman, S. M., A. V. Grossestreuer, D. J. Wiebe, B. G. Carr, B. S. Abella and D. F. Gaieski (2016). "Response to Letter Regarding Article, "The Utility of Therapeutic Hypothermia for Post-Cardiac Arrest Syndrome Patients With an Initial Nonshockable Rhythm"." Circulation 133(17): e612. Perman, S. M., E. Stanton, J. Soar, R. A. Berg, M. W. Donnino, M. E. Mikkelsen, D. P. Edelson, M. M. Churpek, L. Yang, R. M. Merchant and I. American Heart Association's Get With the Guidelines-Resuscitation (2016). "Location of In-Hospital Cardiac Arrest in the United States-Variability in Event Rate and Outcomes." J Am Heart Assoc 5(10). Phillips, J. P. (2016). "Workplace Violence against Health Care Workers in the United States." N Engl J Med 374(17): 1661-1669. Pollack, C. V., Jr., D. B. Diercks, S. H. Thomas, N. I. Shapiro, J. Fanikos, S. E. Mace, Z. Rafique and K. H. Todd (2016). "Patient-reported Outcomes from A National, Prospective, Observational Study of Emergency Department Acute Pain Management With an Intranasal Nonsteroidal Anti-inflammatory Drug, Opioids, or Both." Acad Emerg Med 23(3): 331-341. Prisco, D. and P. Rosen (2016). "Obituary." Intern Emerg Med 11(8): 1153. Puskarich, M. A., N. I. Shapiro, M. J. Massey, J. A. Kline and A. E. Jones (2016). "Lactate Clearance in Septic Shock Is Not a Surrogate for Improved Microcirculatory Flow." Acad Emerg Med 23(6): 690-693. Rosen, P. and S. Hayden (2016). "Parental Induction of Disease." J Emerg Med 51(2): 178-179. Ryan, K. M., M. Gagnon, T. Hanna, B. Mello, M. Fofana, G. Ciottone and M. Molloy (2016). "Noise Pollution: Do We Need a Solution? An Analysis of Noise in a Cardiac Care Unit." Prehosp Disaster Med 31(4): 432-435. Rybarczyk, M. M., J. M. Schafer, C. M. Elm, S. Sarvepalli, P. A. Vaswani, K. S. Balhara, L. C. Carlson and G. A. Jacquet (2016). "Prevention of burn injuries in low- and middle-income countries: A systematic review." Burns 42(6): 1183-1192. Schwamm, L. H., N. Chumbler, E. Brown, G. C. Fonarow, D. Berube, K. Nystrom, R. Suter, M. Zavala, D. Polsky, K. Radhakrishnan, N. Lacktman, K. Horton, M. B. Malcarney, J. Halamka, A. C. Tiner and C. American Heart Association Advocacy Coordinating (2017). "Recommendations for the Implementation of Telehealth in Cardiovascular and Stroke Care: A Policy Statement From the American Heart Association." Circulation 135(7): e24-e44. Shapiro, N. L. and S. H. Bhatt (2016). "Critical Review and Update on the Treatment of Acute and Chronic Pulmonary Embolism." J Pharm Pract 29(1): 35-45. Singleton, J. and J. A. Edlow (2016). "Acute Nontraumatic Back Pain: Risk Stratification, Emergency Department Management, and Review of Serious Pathologies." Emerg Med Clin North Am 34(4): 743-757. Smulowitz, P. B., C. Cary, K. L. Boyle, V. Novack and L. Jagminas (2016). "Variation in opioid prescribing patterns between ED providers." Intern Emerg Med 11(8): 1121-1124. Stoker, M. and A. Landry (2016). "The Ethics of a Postmortem Testicular Harvest." J Emerg Med 50(1): 178-180. Torterolo, P., S. Castro-Zaballa, M. Cavelli, M. H. Chase and A. Falconi (2016). "Neocortical 40 Hz oscillations during carbachol-induced rapid eye movement sleep and cataplexy." Eur J Neurosci 43(4): 580-589. Ullman, E., M. Kennedy, F. D. Di Delupis, P. Pisanelli, A. G. Burbui, M. Cussen, L. Galli, R. Pini and G. F. Gensini (2016). "The Tuscan Mobile Simulation Program: a description of a program for the delivery of in situ simulation training." Intern Emerg Med 11(6): 837-841. Wang, C., F. Ji, Z. Hong, J. S. Poh, R. Krishnan, J. Lee, G. Rekhi, R. S. Keefe, R. A. Adcock, S. J. Wood, A. Fornito, O. Pasternak, M. W. Chee and J. Zhou (2016). "Disrupted salience network functional connectivity and white-matter microstructure in persons at risk for psychosis: findings from the LYRIKS study." Psychol Med 46(13): 2771-2783. Wang, H. E., J. P. Donnelly, R. Griffin, E. B. Levitan, N. I. Shapiro, G. Howard and M. M. Safford (2016). "Derivation of Novel Risk Prediction Scores for Community-Acquired Sepsis and Severe Sepsis." Crit Care Med 44(7): 1285-1294. Wang, H. E., R. Griffin, N. I. Shapiro, G. Howard and M. M. Safford (2016). "Chronic Statin Use and Long-Term Rates of Sepsis: A Population-Based Cohort Study." J Intensive Care Med 31(6): 386-396. Watson, C. Y., F. Damiani, S. Ram-Mohan, S. Rodrigues, P. de Moura Queiroz, T. C. Donaghey, J. H. Rosenblum Lichtenstein, J. D. Brain, R. Krishnan and R. M. Molina (2016). "Screening for Chemical Toxicity Using Cryopreserved Precision Cut Lung Slices." Toxicol Sci 150(1): 225-233. Wong, M. L., D. Chiu, N. I. Shapiro and S. A. Grossman (2016). "Utility of Chest Radiography in Emergency Department Patients Presenting with Syncope." West J Emerg Med 17(6): 698-701. Williams D, Calder S, Cocchi MN, Donnino MW. From door to recovery: a collaborative approach to the development of a post-cardiac arrest center. Critical care nurse. 2013;33(5):42-54. Wiener Z, Shapiro NI, Chiu DT, Grossman SA. The prevalence of psychiatric disease in emergency department patients with unexplained syncope. Internal and emergency medicine. 2013;8(5):427-30. Wiener Z, Chiu DT, Shapiro NI, Grossman SA. Substance abuse in emergency department patients with unexplained syncope. Internal and emergency medicine. 2013. Wen LS, Anderson PD, Stagelund S, Sullivan AF, Camargo CA, Jr. National survey of emergency departments in Denmark. European journal of emergency medicine : official journal of the European Society for Emergency Medicine. 2013;20(3):205-9. Weiner SG, Smulowitz PB. Preventable acute care spending for medicare patients. JAMA : the journal of the American Medical Association. 2013;310(18):1984-5. Ward J, Kapadia K, Brush E, Salhanick SD. Amatoxin poisoning: case reports and review of current therapies. The Journal of emergency medicine. 2013;44(1):116-21. Wang HE, Shapiro NI, Safford MM, Griffin R, Judd S, Rodgers JB, et al. High-sensitivity C-reactive protein and risk of sepsis. PloS one. 2013;8(7):e69232. PMCID: 3720576. Wang HE, Shapiro NI, Griffin R, Safford MM, Judd S, Howard G. Inflammatory and endothelial activation biomarkers and risk of sepsis: a nested case-control study. Journal of critical care. 2013;28(5):549-55. PMCID: 3814035. Wang HE, Griffin R, Judd S, Shapiro NI, Safford MM. Obesity and risk of sepsis: a population-based cohort study. Obesity (Silver Spring, Md). 2013;21(12):E762-9. PMCID: 3795990. Volz KA, Canham L, Kaplan E, Sanchez LD, Shapiro NI, Grossman SA. Identifying patients with cellulitis who are likely to require inpatient admission after a stay in an ED observation unit. The American journal of emergency medicine. 2013;31(2):360-4. Traub SJ, Mitchell AM, Jones AE, Tang A, O’Connor J, Nelson T, et al. N-acetylcysteine plus intravenous fluids versus intravenous fluids alone to prevent contrast-induced nephropathy in emergency computed tomography. Annals of emergency medicine. 2013;62(5):511-20 e25. Traub SJ, Kellum JA, Tang A, Cataldo L, Kancharla A, Shapiro NI. Risk factors for radiocontrast nephropathy after emergency department contrast-enhanced computerized tomography. Academic emergency medicine : official journal of the Society for Academic Emergency Medicine. 2013;20(1):40-5. Tibbles CD, Bouton M, Lucas JM, Harper M, Horwitz C, Fisher J. Emergency department management of pediatric patients with cyanotic heart disease and fever. The Journal of emergency medicine. 2013;44(3):599-604. Sterling SA, Puskarich MA, Shapiro NI, Trzeciak S, Kline JA, Summers RL, et al. Characteristics and outcomes of patients with vasoplegic versus tissue dysoxic septic shock. Shock (Augusta, Ga). 2013;40(1):11-4. Smulowitz PB, Honigman L, Landon BE. A novel approach to identifying targets for cost reduction in the emergency department. Annals of emergency medicine. 2013;61(3):293-300. Skibsted S, Jones AE, Puskarich MA, Arnold R, Sherwin R, Trzeciak S, et al. Biomarkers of endothelial cell activation in early sepsis. Shock (Augusta, Ga). 2013;39(5):427-32. PMCID: 3670087. Skibsted S, Bhasin MK, Aird WC, Shapiro NI. Bench-to-bedside review: Future novel diagnostics for sepsis – a systems biology approach. Critical care (London, England). 2013;17(5):231. Siket MS, Edlow J. Transient ischemic attack: an evidence-based update. Emergency medicine practice. 2013;15(1):1-26. Schmelzle M, Splith K, Andersen LW, Kornek M, Schuppan D, Jones-Bamman C, et al. Increased plasma levels of microparticles expressing CD39 and CD133 in acute liver injury. Transplantation. 2013;95(1):63-9. PMCID: 3536489. Schmelzle M, Duhme C, Junger W, Salhanick SD, Chen Y, Wu Y, et al. CD39 modulates hematopoietic stem cell recruitment and promotes liver regeneration in mice and humans after partial hepatectomy. Annals of surgery. 2013;257(4):693-701. Salciccioli JD, Cocchi MN, Rittenberger JC, Peberdy MA, Ornato JP, Abella BS, et al. Continuous neuromuscular blockade is associated with decreased mortality in post-cardiac arrest patients. Resuscitation. 2013;84(12):1728-33. PMCID: 3864774. Puskarich MA, Trzeciak S, Shapiro NI, Albers AB, Heffner AC, Kline JA, et al. Whole blood lactate kinetics in patients undergoing quantitative resuscitation for severe sepsis and septic shock. Chest. 2013;143(6):1548-53. PMCID: 3673659. Petchy MF, Bounes V, Dehours E, Moulie L, Edlow JA. Characteristics of patients with acute ischemic stroke intubated before imaging. European journal of emergency medicine : official journal of the European Society for Emergency Medicine. 2013. Peberdy MA, Donnino MW, Callaway CW, Dimaio JM, Geocadin RG, Ghaemmaghami CA, et al. Impact of percutaneous coronary intervention performance reporting on cardiac resuscitation centers: a scientific statement from the American Heart Association. Circulation. 2013;128(7):762-73. Parri N, Crosby BJ, Glass C, Mannelli F, Sforzi I, Schiavone R, et al. Ability of emergency ultrasonography to detect pediatric skull fractures: a prospective, observational study. The Journal of emergency medicine. 2013;44(1):135-41. Omar YG, Massey M, Andersen LW, Giberson TA, Berg K, Cocchi MN, et al. Sublingual microcirculation is impaired in post-cardiac arrest patients. Resuscitation. 2013;84(12):1717-22. PMCID: 3864773. Odom SR, Howell MD, Silva GS, Nielsen VM, Gupta A, Shapiro NI, et al. Lactate clearance as a predictor of mortality in trauma patients. The journal of trauma and acute care surgery. 2013;74(4):999-1004. Nichol G, Huszti E, Kim F, Fly D, Parnia S, Donnino M, et al. Does induction of hypothermia improve outcomes after in-hospital cardiac arrest? Resuscitation. 2013;84(5):620-5. Newman-Toker DE, Edlow JA. High-stakes diagnostic decision rules for serious disorders: the Ottawa subarachnoid hemorrhage rule. JAMA : the journal of the American Medical Association. 2013;310(12):1237-9. Meehan WP, 3rd, Lee LK, Fischer CM, Mannix RC. Bicycle helmet laws are associated with a lower fatality rate from bicycle-motor vehicle collisions. The Journal of pediatrics. 2013;163(3):726-9. PMCID: 3755017. Massey MJ, Larochelle E, Najarro G, Karmacharla A, Arnold R, Trzeciak S, et al. The microcirculation image quality score: development and preliminary evaluation of a proposed approach to grading quality of image acquisition for bedside videomicroscopy. Journal of critical care. 2013;28(6):913-7. Mahler SA, Miller CD, Hollander JE, Nagurney JT, Birkhahn R, Singer AJ, et al. Identifying patients for early discharge: performance of decision rules among patients with acute chest pain. International journal of cardiology. 2013;168(2):795-802. PMCID: 3565031. Liu SW, Nagurney JT, Chang Y, Parry BA, Smulowitz P, Atlas SJ. Frequent ED users: are most visits for mental health, alcohol, and drug-related complaints? The American journal of emergency medicine. 2013;31(10):1512-5. Landry AM, Stevens J, Kelly SP, Sanchez LD, Fisher J. Under-represented minorities in emergency medicine. The Journal of emergency medicine. 2013;45(1):100-4. Kline JA, Shapiro NI, Jones AE, Hernandez J, Hogg MM, Troyer J, et al. Outcomes and Radiation Exposure of Emergency Department Patients With Chest Pain and Shortness of Breath and Ultralow Pretest Probability: A Multicenter Study. Annals of emergency medicine. 2013. Kessler CS, Asrow A, Beach C, Cheung D, Fairbanks RJ, Lammers JC, et al. The taxonomy of emergency department consultations–results of an expert consensus panel. Annals of emergency medicine. 2013;61(2):161-6. Kashani K, Al-Khafaji A, Ardiles T, Artigas A, Bagshaw SM, Bell M, et al. Discovery and validation of cell cycle arrest biomarkers in human acute kidney injury. Critical care (London, England). 2013;17(1):R25. Jesus JE, Allen MB, Michael GE, Donnino MW, Grossman SA, Hale CP, et al. Preferences for resuscitation and intubation among patients with do-not-resuscitate/do-not-intubate orders. Mayo Clinic proceedings. 2013;88(7):658-65. Horng S, Pezzella L, Tibbles CD, Wolfe RE, Hurst JM, Nathanson LA. Prospective evaluation of daily performance metrics to reduce emergency department length of stay for surgical consults. The Journal of emergency medicine. 2013;44(2):519-25. Henning DJ, McGillicuddy DC, Sanchez LD. Evaluating the effect of emergency residency training on productivity in the emergency department. The Journal of emergency medicine. 2013;45(3):414-8. Henning D, Horng S, Sanchez L. Evaluating how electronic charting affects resident productivity. Internal and emergency medicine. 2013;8(2):169-72. Ginde AA, Moss M, Shapiro NI, Schwartz RS. Impact of older age and nursing home residence on clinical outcomes of US emergency department visits for severe sepsis. Journal of critical care. 2013;28(5):606-11. PMCID: 3770757. George M, Haasz M, Coronado A, Salhanick S, Korbel L, Kitzmiller JP. Acute dyskinesia, myoclonus, and akathisa in an adolescent male abusing quetiapine via nasal insufflation: a case study. BMC pediatrics. 2013;13:187. Ganetsky M, Bohlke M, Pereira L, Williams D, LeDuc B, Guatam S, et al. Effect of excipients on acetaminophen metabolism and its implications for prevention of liver injury. Journal of clinical pharmacology. 2013;53(4):413-20. Fisher J, Lin M, Coates WC, Kuhn GJ, Farrell SE, Maggio LA, et al. Critical appraisal of emergency medicine educational research: the best publications of 2011. Academic emergency medicine : official journal of the Society for Academic Emergency Medicine. 2013;20(2):200-8. Edlow JA, Smith EE. In reply. Annals of emergency medicine. 2013;62(4):433. Edlow JA, Caplan LR, O’Brien K, Tibbles CD. Diagnosis of acute neurological emergencies in pregnant and post-partum women. Lancet neurology. 2013;12(2):175-85. Edlow JA, Caplan LR, O’Brien K, Tibbles C. Author’s reply. Neurological emergencies in pregnant and post-partum women in resource-poor settings. Lancet neurology. 2013;12(4):330. Edlow JA. Diagnosing dizziness: we are teaching the wrong paradigm! Academic emergency medicine: official journal of the Society for Academic Emergency Medicine. 2013;20(10):1064-6. Donnino MW, Salciccioli JD, Dejam A, Giberson T, Giberson B, Cristia C, et al. APACHE II scoring to predict outcome in post-cardiac arrest. Resuscitation. 2013;84(5):651-6. PMCID: 3628932. Crosby BJ, Mannelli F, Nisavic M, Passannante A, Cline DM, Gillespie CP, et al. The impact of implementing the single provider model of emergency medicine in a paediatric hospital: a retrospective cohort analysis. Emergency medicine journal: EMJ. 2013;30(3):e15. Cocchi MN, Boone MD, Giberson B, Giberson T, Farrell E, Salciccioli JD, et al. Fever After Rewarming: Incidence of Pyrexia in Postcardiac Arrest Patients Who Have Undergone Mild Therapeutic Hypothermia. Journal of intensive care medicine. 2013. Burke LG, Joyce N, Baker WE, Biddinger PD, Dyer KS, Friedman FD, et al. The effect of an ambulance diversion ban on emergency department length of stay and ambulance turnaround time. Annals of emergency medicine. 2013;61(3):303-11 e1. Bivens M, Jesus J, Tibbles C, Shukla A, Hegedus A. Acute painless vision loss in a young person. The Journal of emergency medicine. 2013;44(4):839-42. Berger R, Salhanick SD, Chase M, Ganetsky M. Hemorrhagic complications in emergency department patients who are receiving dabigatran compared with warfarin. Annals of emergency medicine. 2013;61(4):475-9. Berg KM, Donnino MW. Predicting noninvasive mechanical ventilation outcome: early may be too early! The authors respond. Respiratory care. 2013;58(2):e16-7. Berg K, Cocchi MN, Donnino MW. Should we worry about post-rewarming hyperthermia? Resuscitation. 2013;84(9):1167-8. Arnold RC, Sherwin R, Shapiro NI, O’Connor JL, Glaspey L, Singh S, et al. Multicenter observational study of the development of progressive organ dysfunction and therapeutic interventions in normotensive sepsis patients in the emergency department. Academic emergency medicine: official journal of the Society for Academic Emergency Medicine. 2013;20(5):433-40. Andersen LW, Mackenhauer J, Roberts JC, Berg KM, Cocchi MN, Donnino MW. Etiology and therapeutic approach to elevated lactate levels. Mayo Clinic proceedings. 2013;88(10):1127-40. Yim ES, Horn ER, Hegedus A, Tibbles CD. Cough and hemoptysis in athletes of an ice hockey team. The Journal of emergency medicine. 2012;43(1):107-10. Yim ES, Friedberg RP. Case report: lower extremity deep vein thrombosis following an intense calf workout. Current sports medicine reports. 2012;11(6):282-6. Wolk BJ, Ganetsky M, Babu KM. Toxicity of energy drinks. Current opinion in pediatrics. 2012;24(2):243-51. Wang HE, Shapiro NI, Griffin R, Safford MM, Judd S, Howard G. Chronic medical conditions and risk of sepsis. PloS one. 2012;7(10):e48307. PMCID: 3485139. Volz KA, McGillicuddy DC, Horowitz GL, Sanchez LD. Creatine kinase-MB does not add additional benefit to a negative troponin in the evaluation of chest pain. The American journal of emergency medicine. 2012;30(1):188-90. Volz KA, Horowitz GL, McGillicuddy DC, Grossman SA, Sanchez LD. Should creatine kinase-MB index be eliminated in patients with indeterminate troponins in the ED? The American journal of emergency medicine. 2012;30(8):1574-6. Vellinga NA, Boerma EC, Koopmans M, Donati A, Dubin A, Shapiro NI, et al. Study Design of the Microcirculatory Shock Occurrence in Acutely Ill Patients (microSOAP): an International Multicenter Observational Study of Sublingual Microcirculatory Alterations in Intensive Care Patients. Critical care research and practice. 2012;2012:121752. PMCID: 3359769.
van Meurs M, Castro P, Shapiro NI, Lu S, Yano M, Maeda N, et al. Adiponectin diminishes organ-specific microvascular endothelial cell activation associated with sepsis. Shock (Augusta, Ga). 2012;37(4):392-8. Smithline HA, Donnino M, Greenblatt DJ. Pharmacokinetics of high-dose oral thiamine hydrochloride in healthy subjects. BMC clinical pharmacology. 2012;12:4. PMCID: 3293077. Smith AK, McCarthy E, Weber E, Cenzer IS, Boscardin J, Fisher J, et al. Half of older Americans seen in emergency department in last month of life; most admitted to hospital, and many die there. Health affairs (Project Hope). 2012;31(6):1277-85. PMCID: 3736978. Siket MS, Edlow JA. Transient ischemic attack: reviewing the evolution of the definition, diagnosis, risk stratification, and management for the emergency physician. Emergency medicine clinics of North America. 2012;30(3):745-70. Seigel TA, Cocchi MN, Salciccioli J, Shapiro NI, Howell M, Tang A, et al. Inadequacy of temperature and white blood cell count in predicting bacteremia in patients with suspected infection. The Journal of emergency medicine. 2012;42(3):254-9. Schuetz P, Kennedy M, Lucas JM, Howell MD, Aird WC, Yealy DM, et al. Initial management of septic patients with hyperglycemia in the noncritical care inpatient setting. The American journal of medicine. 2012;125(7):670-8. Puskarich MA, Trzeciak S, Shapiro NI, Arnold RC, Heffner AC, Kline JA, et al. Prognostic value and agreement of achieving lactate clearance or central venous oxygen saturation goals during early sepsis resuscitation. Academic emergency medicine : official journal of the Society for Academic Emergency Medicine. 2012;19(3):252-8. PMCID: 3313083. Puskarich MA, Shapiro NI, Trzeciak S, Kline JA, Jones AE. Plasma levels of mitochondrial DNA in patients presenting to the emergency department with sepsis. Shock (Augusta, Ga). 2012;38(4):337-40. PMCID: 3664931. Pope JV, Edlow JA. Avoiding misdiagnosis in patients with neurological emergencies. Emergency medicine international. 2012;2012:949275. PMCID: 3410308. Lucas JM, Cocchi MN, Salciccioli J, Stanbridge JA, Geocadin RG, Herman ST, et al. Neurologic recovery after therapeutic hypothermia in patients with post-cardiac arrest myoclonus. Resuscitation. 2012;83(2):265-9. Love JN, Howell JM, Hegarty CB, McLaughlin SA, Coates WC, Hopson LR, et al. Factors that influence medical student selection of an emergency medicine residency program: implications for training programs. Academic emergency medicine : official journal of the Society for Academic Emergency Medicine. 2012;19(4):455-60. Levenson RB, Camacho MA, Horn E, Saghir A, McGillicuddy D, Sanchez LD. Eliminating routine oral contrast use for CT in the emergency department: impact on patient throughput and diagnosis. Emergency radiology. 2012;19(6):513-7. Kroll KE, Kroll DS, Pope JV, Tibbles CD. Catatonia in the emergency department. The Journal of emergency medicine. 2012;43(5):843-6. Kroll K, Jesus J, Tibbles C, Fisher J, Ullman E. Intramuscular epinephrine and acute myocardial infarction. The Journal of emergency medicine. 2012;43(6):1070-4. Khandelwal S, Bernard AW, Wald DA, Manthey DE, Fisher J, Ankel F, et al. Developing and assessing initiatives designed to improve clinical teaching performance. Academic emergency medicine : official journal of the Society for Academic Emergency Medicine. 2012;19(12):1350-3. Kelly SP, Tibbles C, Barnett SR, Schwartzstein RM. The “hidden costs” of graduate medical education in the United States. Journal of graduate medical education. 2012;4(2):267-8. PMCID: 3399629. Jesus JE, Ullman E. An usual cause of progressive hair loss. Internal and emergency medicine. 2012;7 Suppl 1:S65-6. Jesus JE, Landry A. Images in clinical medicine. Chvostek’s and Trousseau’s signs. The New England journal of medicine. 2012;367(11):e15. Imperato J, Morris DS, Binder D, Fischer C, Patrick J, Sanchez LD, et al. Physician in triage improves emergency department patient throughput. Internal and emergency medicine. 2012;7(5):457-62. Horng S, Goss FR, Chen RS, Nathanson LA. Prospective pilot study of a tablet computer in an Emergency Department. International journal of medical informatics. 2012;81(5):314-9. PMCID: 3320696. Hoque R, Sohail MA, Salhanick S, Malik AF, Ghani A, Robson SC, et al. P2X7 receptor-mediated purinergic signaling promotes liver injury in acetaminophen hepatotoxicity in mice. American journal of physiology Gastrointestinal and liver physiology. 2012;302(10):G1171-9. PMCID: 3362096. Honigman L, Jesus J, Pandey S, Camacho M, Tibbles C, Friedberg R. Sacral decubitus ulcers and bacterial meningitis. The Journal of emergency medicine. 2012;42(5):569-72. Herasevich V, Litell J, Pickering B. Electronic medical records and mHealth anytime, anywhere. Biomedical instrumentation & technology / Association for the Advancement of Medical Instrumentation. 2012;Suppl:45-8. Hammoud MM, Margo K, Christner JG, Fisher J, Fischer SH, Pangaro LN. Opportunities and challenges in integrating electronic health records into undergraduate medical education: a national survey of clerkship directors. Teaching and learning in medicine. 2012;24(3):219-24. Hammoud MM, Dalymple JL, Christner JG, Stewart RA, Fisher J, Margo K, et al. Medical student documentation in electronic health records: a collaborative statement from the Alliance for Clinical Education. Teaching and learning in medicine. 2012;24(3):257-66. Grossman SA, Bar J, Fischer C, Lipsitz LA, Mottley L, Sands K, et al. Reducing admissions utilizing the Boston Syncope Criteria. The Journal of emergency medicine. 2012;42(3):345-52. Grossman SA, Babineau M, Burke L, Kancharla A, Mottley L, Nencioni A, et al. Do outcomes of near syncope parallel syncope? The American journal of emergency medicine. 2012;30(1):203-6. Grossman SA, Babineau M, Burke L, Kancharla A, Mottley L, Nencioni A, et al. Applying the Boston syncope criteria to near syncope. The Journal of emergency medicine. 2012;43(6):958-63. Ganetsky M. Commentary. Clinical chemistry. 2012;58(12):1634-5. Frost EJ, Mottley JL, Edlow JA. Charles Bonnet syndrome: three cases in the emergency department. The Journal of emergency medicine. 2012;42(5):532-4. Fischer CM, Yano K, Aird WC, Shapiro NI. Abnormal coagulation tests obtained in the emergency department are associated with mortality in patients with suspected infection. The Journal of emergency medicine. 2012;42(2):127-32. Fischer CM, Sanchez CE, Pittman M, Milzman D, Volz KA, Huang H, et al. Prevalence of bicycle helmet use by users of public bikeshare programs. Annals of emergency medicine. 2012;60(2):228-31. Edlow JA, Samuels O, Smith WS, Weingart SD. Emergency neurological life support: subarachnoid hemorrhage. Neurocritical care. 2012;17 Suppl 1:S47-53. Edlow JA, Fisher J. Diagnosis of subarachnoid hemorrhage: time to change the guidelines? Stroke; a journal of cerebral circulation. 2012;43(8):2031-2. Edlow JA. Risk stratification in TIA patients: “It’s the vascular lesion, stupid!”. Neurology. 2012;79(10):958-9. Edlow JA. Diagnosing lyme disease: getting the details right. Archives of internal medicine. 2012;172(21):1625-6. Edlow J. A physician’s got to know his (test’s) limitations. The Journal of emergency medicine. 2012;42(5):582-3. Easter BD, Fischer C, Fisher J. The use of mechanical ventilation in the ED. The American journal of emergency medicine. 2012;30(7):1183-8. Dugas AF, Mackenhauer J, Salciccioli JD, Cocchi MN, Gautam S, Donnino MW. Prevalence and characteristics of nonlactate and lactate expressors in septic shock. Journal of critical care. 2012;27(4):344-50. PMCID: 3727145. Donnino MW, Miller JC, Bivens M, Cocchi MN, Salciccioli JD, Farris S, et al. A pilot study examining the severity and outcome of the post-cardiac arrest syndrome: a comparative analysis of two geographically distinct hospitals. Circulation. 2012;126(12):1478-83. PMCID: 3593642. Diaz K, Kelly SG, Smith B, Malani PN, Younger JG. A prospective study of central venous catheters placed in a tertiary care Emergency Department: indications for use, infectious complications, and natural history. American journal of infection control. 2012;40(1):65-7. David S, Mukherjee A, Ghosh CC, Yano M, Khankin EV, Wenger JB, et al. Angiopoietin-2 may contribute to multiple organ dysfunction and death in sepsis*. Critical care medicine. 2012;40(11):3034-41. PMCID: 3705559. Cuschieri J, Johnson JL, Sperry J, West MA, Moore EE, Minei JP, et al. Benchmarking outcomes in the critically injured trauma patient and the effect of implementing standard operating procedures. Annals of surgery. 2012;255(5):993-9. PMCID: 3327791. Cox K, Cocchi MN, Salciccioli JD, Carney E, Howell M, Donnino MW. Prevalence and significance of lactic acidosis in diabetic ketoacidosis. Journal of critical care. 2012;27(2):132-7. PMCID: 3610316. Cocchi MN, Giberson B, Donnino MW. Rapid rewarming of hypothermic patient using arctic sun device. Journal of intensive care medicine. 2012;27(2):128-30. Cocchi MN, Giberson B, Berg K, Salciccioli JD, Naini A, Buettner C, et al. Coenzyme Q10 levels are low and associated with increased mortality in post-cardiac arrest patients. Resuscitation. 2012;83(8):991-5. PMCID: 3658101. Chauhan A, Musunuru H, Donnino M, McCurdy MT, Chauhan V, Walsh M. The use of therapeutic hypothermia after cardiac arrest in a pregnant patient. Annals of emergency medicine. 2012;60(6):786-9. Chase M, Klasco RS, Joyce NR, Donnino MW, Wolfe RE, Shapiro NI. Predictors of bacteremia in emergency department patients with suspected infection. The American journal of emergency medicine. 2012;30(9):1691-7. Chase M, Joyce NR, Carney E, Salciccioli JD, Vinton D, Donnino MW, et al. ED patients with vertigo: can we identify clinical factors associated with acute stroke? The American journal of emergency medicine. 2012;30(4):587-91. Callaway DW, Peabody CR, Hoffman A, Cote E, Moulton S, Baez AA, et al. Disaster mobile health technology: lessons from Haiti. Prehospital and disaster medicine. 2012;27(2):148-52. Berger RE, Ganetsky M. An over-the-counter weight-loss supplement with a toxicity that may be unexpectedly difficult to treat. Internal and emergency medicine. 2012;7 Suppl 2:S91-2. Berg KM, Lang GR, Salciccioli JD, Bak E, Cocchi MN, Gautam S, et al. The rapid shallow breathing index as a predictor of failure of noninvasive ventilation for patients with acute respiratory failure. Respiratory care. 2012;57(10):1548-54. Berg KM, Clardy P, Donnino MW. Noninvasive ventilation for acute respiratory failure: a review of the literature and current guidelines. Internal and emergency medicine. 2012;7(6):539-45. Bell SK, Smulowitz PB, Woodward AC, Mello MM, Duva AM, Boothman RC, et al. Disclosure, apology, and offer programs: stakeholders’ views of barriers to and strategies for broad implementation. The Milbank quarterly. 2012;90(4):682-705. PMCID: 3530738. Bartels SA, VanRooyen MJ. Medical complications associated with earthquakes. Lancet. 2012;379(9817):748-57. Bartels SA, Scott JA, Leaning J, Kelly JT, Joyce NR, Mukwege D, et al. Demographics and care-seeking behaviors of sexual violence survivors in South Kivu province, Democratic Republic of Congo. Disaster medicine and public health preparedness. 2012;6(4):393-401. Arnold RC, Dellinger RP, Parrillo JE, Chansky ME, Lotano VE, McCoy JV, et al. Discordance between microcirculatory alterations and arterial pressure in patients with hemodynamic instability. Journal of critical care. 2012;27(5):531 e1-7. Anderson PD, Suter RE, Mulligan T, Bodiwala G, Razzak JA, Mock C. World Health Assembly Resolution 60.22 and its importance as a health care policy tool for improving emergency care access and availability globally. Annals of emergency medicine. 2012;60(1):35-44 e3. Andersen LW, Graver A, Donnino MW. Use of epinephrine for cardiac arrest prior to hospital arrival. JAMA : the journal of the American Medical Association. 2012;308(1):29; author reply 30-1. Amesquita M, Cocchi MN, Donnino MW. Pulmonary embolism presenting as flank pain: a case series. The Journal of emergency medicine. 2012;42(5):e97-100. Calder, Shelley. Chapter 20: Shock. Sheehy’s Manual of Emergency Care, 7th Edition (2012). Wang HE, Shapiro NI, Yealy DM. Characteristics of out-of-hospital shock care. Critical care medicine. 2011;39(11):2431-9. Straszewski SM, Sanchez L, McGillicuddy D, Boyd K, Dufresne J, Joyce N, et al. Use of separate venipunctures for IV access and laboratory studies decreases hemolysis rates. Internal and emergency medicine. 2011;6(4):357-9. Smulowitz PB, Lipton R, Wharam JF, Adelman L, Weiner SG, Burke L, et al. Emergency department utilization after the implementation of Massachusetts health reform. Annals of emergency medicine. 2011;58(3):225-34 e1. Shayne P, Coates WC, Farrell SE, Kuhn GJ, Lin M, Maggio LA, et al. Critical appraisal of emergency medicine educational research: the best publications of 2010. Academic emergency medicine: official journal of the Society for Academic Emergency Medicine. 2011;18(10):1081-9. Shapiro NI, Arnold R, Sherwin R, O’Connor J, Najarro G, Singh S, et al. The association of near-infrared spectroscopy-derived tissue oxygenation measurements with sepsis syndromes, organ dysfunction and mortality in emergency department patients with sepsis. Critical care (London, England). 2011;15(5):R223. PMCID: 3334769. Shapiro NI, Aird WC. Sepsis and the broken endothelium. Critical care (London, England). 2011;15(2):135. PMCID: 3219316. Schuetz P, Jones AE, Howell MD, Trzeciak S, Ngo L, Younger JG, et al. Diabetes is not associated with increased mortality in emergency department patients with sepsis. Annals of emergency medicine. 2011;58(5):438-44. PMCID: 3425373. Schuetz P, Jones AE, Aird WC, Shapiro NI. Endothelial cell activation in emergency department patients with sepsis-related and non-sepsis-related hypotension. Shock (Augusta, Ga). 2011;36(2):104-8. PMCID: 3139767. Schuetz P, Castro P, Shapiro NI. Diabetes and sepsis: preclinical findings and clinical relevance. Diabetes care. 2011;34(3):771-8. PMCID: 3041224. Schmitz G, Tibbles C. Genitourinary emergencies in the nonpregnant woman. Emergency medicine clinics of North America. 2011;29(3):621-35. Sanchez LD, Straszewski S, Saghir A, Khan A, Horn E, Fischer C, et al. Anterior versus lateral needle decompression of tension pneumothorax: comparison by computed tomography chest wall measurement. Academic emergency medicine : official journal of the Society for Academic Emergency Medicine. 2011;18(10):1022-6. Sanchez LD, McGillicuddy DC, Volz KA, Fan SL, Joyce N, Horowitz GL. Effect of two different FDA-approved D-dimer assays on resource utilization in the emergency department. Academic emergency medicine: official journal of the Society for Academic Emergency Medicine. 2011;18(3):317-21. Puskarich MA, Trzeciak S, Shapiro NI, Heffner AC, Kline JA, Jones AE. Outcomes of patients undergoing early sepsis resuscitation for cryptic shock compared with overt shock. Resuscitation. 2011;82(10):1289-93. PMCID: 3179778. Puskarich MA, Trzeciak S, Shapiro NI, Arnold RC, Horton JM, Studnek JR, et al. Association between timing of antibiotic administration and mortality from septic shock in patients treated with a quantitative resuscitation protocol. Critical care medicine. 2011;39(9):2066-71. PMCID: 3158284. Pride YB, Frost EJ, Anderson PD, Cutlip DE. Precordial steering wheel: a fortunate accident. The Journal of emergency medicine. 2011;41(4):e83-7. Pinto DS, Frederick PD, Chakrabarti AK, Kirtane AJ, Ullman E, Dejam A, et al. Benefit of transferring ST-segment-elevation myocardial infarction patients for percutaneous coronary intervention compared with administration of onsite fibrinolytic declines as delays increase. Circulation. 2011;124(23):2512-21. Pines JM, Hilton JA, Weber EJ, Alkemade AJ, Al Shabanah H, Anderson PD, et al. International perspectives on emergency department crowding. Academic emergency medicine : official journal of the Society for Academic Emergency Medicine. 2011;18(12):1358-70. Perman SM, Chang AM, Hollander JE, Gaieski DF, Trzeciak S, Birkhahn R, et al. Relationship between B-type natriuretic peptide and adverse outcome in patients with clinical evidence of sepsis presenting to the emergency department. Academic emergency medicine : official journal of the Society for Academic Emergency Medicine. 2011;18(2):219-22. Perina DG, Beeson MS, Char DM, Counselman FL, Keim SM, McGee DL, et al. The 2007 Model of the Clinical Practice of Emergency Medicine: the 2009 update. Academic emergency medicine: official journal of the Society for Academic Emergency Medicine. 2011;18(3):e8-e26. Perina DG, Beeson MS, Char DM, Counselman FL, Keim SM, McGee DL, et al. 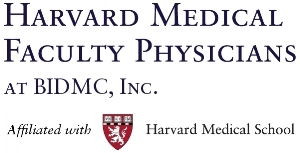 The 2007 Model of the Clinical Practice of Emergency Medicine: the 2009 update 2009 EM Model Review Task Force. Annals of emergency medicine. 2011;57(3):e1-15. Napoli AM, Fischer CM, Pines JM, Soe-lin H, Goyal M, Milzman D. Absolute lymphocyte count in the emergency department predicts a low CD4 count in admitted HIV-positive patients. Academic emergency medicine: official journal of the Society for Academic Emergency Medicine. 2011;18(4):385-9. McGillicuddy DC, O’Connell FJ, Shapiro NI, Calder SA, Mottley LJ, Roberts JC, et al. Emergency department abnormal vital sign “triggers” program improves time to therapy. Academic emergency medicine: official journal of the Society for Academic Emergency Medicine. 2011;18(5):483-7. Litell JM, Gong MN, Talmor D, Gajic O. Acute lung injury: prevention may be the best medicine. Respiratory care. 2011;56(10):1546-54. Kravitz J, Dominici P, Ufberg J, Fisher J, Giraldo P. Two days of dexamethasone versus 5 days of prednisone in the treatment of acute asthma: a randomized controlled trial. Annals of emergency medicine. 2011;58(2):200-4. Kilgannon JH, Jones AE, Parrillo JE, Dellinger RP, Milcarek B, Hunter K, et al. Relationship between supranormal oxygen tension and outcome after resuscitation from cardiac arrest. Circulation. 2011;123(23):2717-22. Jesus JE, Schrupp Berg H, Tibbles C, Wolfe R. Necrotizing fasciitis in the setting of marine injury. The Journal of emergency medicine. 2011;40(5):539-42. Hwang U, McCarthy ML, Aronsky D, Asplin B, Crane PW, Craven CK, et al. Measures of crowding in the emergency department: a systematic review. Academic emergency medicine: official journal of the Society for Academic Emergency Medicine. 2011;18(5):527-38. Hunziker S, Bivens MJ, Cocchi MN, Miller J, Salciccioli J, Howell MD, et al. International validation of the out-of-hospital cardiac arrest score in the United States. Critical care medicine. 2011;39(7):1670-4. Howell MD, Talmor D, Schuetz P, Hunziker S, Jones AE, Shapiro NI. Proof of principle: the predisposition, infection, response, organ failure sepsis staging system. Critical care medicine. 2011;39(2):322-7. Holliman CJ, Mulligan TM, Suter RE, Cameron P, Wallis L, Anderson PD, et al. The efficacy and value of emergency medicine: a supportive literature review. International journal of emergency medicine. 2011;4:44. PMCID: 3158547. Handel DA, Wears RL, Nathanson LA, Pines JM. Using information technology to improve the quality and safety of emergency care. Academic emergency medicine: official journal of the Society for Academic Emergency Medicine. 2011;18(6):e45-51. Handel D, Epstein S, Khare R, Abernethy D, Klauer K, Pilgrim R, et al. Interventions to improve the timeliness of emergency care. Academic emergency medicine: official journal of the Society for Academic Emergency Medicine. 2011;18(12):1295-302. Grossman SA, Shapiro NI, Mottley JL, Sanchez L, Ullman E, Wolfe RE. Is telemetry useful in evaluating chest pain patients in an observation unit? Internal and emergency medicine. 2011;6(6):543-6. Grossman SA, Fischer C, Kancharla A, Lipsitz LA, Mottley L, Zimetbaum P, et al. Can benign etiologies predict benign outcomes in high-risk syncope patients? The Journal of emergency medicine. 2011;40(5):592-7. Green JP, Berger T, Garg N, Shapiro NI. Serum lactate is a better predictor of short-term mortality when stratified by C-reactive protein in adult emergency department patients hospitalized for a suspected infection. Annals of emergency medicine. 2011;57(3):291-5. Ginde AA, Camargo CA, Jr., Shapiro NI. Vitamin D insufficiency and sepsis severity in emergency department patients with suspected infection. Academic emergency medicine: official journal of the Society for Academic Emergency Medicine. 2011;18(5):551-4. Ganetsky M, Babu KM, Salhanick SD, Brown RS, Boyer EW. Dabigatran: review of pharmacology and management of bleeding complications of this novel oral anticoagulant. Journal of medical toxicology: official journal of the American College of Medical Toxicology. 2011;7(4):281-7. PMCID: 3550194. Friedman FD, Rathlev NK, White L, Epstein SK, Sayah A, Pearlmutter M, et al. Trial to end ambulance diversion in Boston: report from the conference of the Boston teaching hospitals consortium. Prehospital and disaster medicine. 2011;26(2):122-6. Fares S, Zubaid M, Al-Mahmeed W, Ciottone G, Sayah A, Al Suwaidi J, et al. Utilization of emergency medical services by patients with acute coronary syndromes in the Arab Gulf States. The Journal of emergency medicine. 2011;41(3):310-6. Edlow JA, Selim MH. Atypical presentations of acute cerebrovascular syndromes. Lancet neurology. 2011;10(6):550-60. Edlow JA. Evidence-based guideline: the role of diffusion and perfusion MRI for the diagnosis of acute ischemic stroke: report of the Therapeutics and Technology Subcommittee of the American Academy of Neurology. Neurology. 2011;76(23):2036; author reply 8. Edlow JA. Stroke: TIA-is ABCD2 useful in choosing who, what, where and when? Nature reviews Neurology. 2011;7(10):542-4. Easter JS, Barkin R, Rosen CL, Ban K. Cervical spine injuries in children, part I: mechanism of injury, clinical presentation, and imaging. The Journal of emergency medicine. 2011;41(2):142-50. Easter JS, Barkin R, Rosen CL, Ban K. Cervical spine injuries in children, part II: management and special considerations. The Journal of emergency medicine. 2011;41(3):252-6. Dugas AF, Lucas JM, Edlow JA. Diagnosis of spinal cord compression in nontrauma patients in the emergency department. Academic emergency medicine : official journal of the Society for Academic Emergency Medicine. 2011;18(7):719-25. Donnino MW, Rittenberger JC, Gaieski D, Cocchi MN, Giberson B, Peberdy MA, et al. The development and implementation of cardiac arrest centers. Resuscitation. 2011;82(8):974-8. Donnino MW, Cocchi MN, Salciccioli JD, Kim D, Naini AB, Buettner C, et al. Coenzyme Q10 levels are low and may be associated with the inflammatory cascade in septic shock. Critical care (London, England). 2011;15(4):R189. PMCID: 3271709. Donnino MW, Cocchi MN, Miller J, Fisher J. Cannabinoid hyperemesis: a case series. The Journal of emergency medicine. 2011;40(4):e63-6. Donnino M, Chauhan A, Walsh M. Therapeutic hypothermia after cardiac arrest. The New England journal of medicine. 2011;364(2):187; author reply -8.
di Martino P, Ban KM, Bartoloni A, Fowler KE, Saint S, Mannelli F. Assessing the sustainability of hand hygiene adherence prior to patient contact in the emergency department: A 1-year postintervention evaluation. American journal of infection control. 2011;39(1):14-8. Chen RS, Bivens MJ, Grossman SA. Diagnosis and management of valvular heart disease in emergency medicine. Emergency medicine clinics of North America. 2011;29(4):801-10, vii. Bravo-Nuevo A, Sugimoto H, Iyer S, Fallon Z, Lucas JM, Kazerounian S, et al. RhoB loss prevents streptozotocin-induced diabetes and ameliorates diabetic complications in mice. The American journal of pathology. 2011;178(1):245-52. PMCID: 3069827. Braithwaite SA, Pines JM, Asplin BR, Epstein SK. Enhancing systems to improve the management of acute, unscheduled care. Academic emergency medicine: official journal of the Society for Academic Emergency Medicine. 2011;18(6):e39-44. Betz ME, Bernstein SL, Gutman DC, Tibbles CD, Joyce NR, Lipton RI, et al. Public health education for emergency medicine residents. American journal of preventive medicine. 2011;41(4 Suppl 3):S242-50. Becker LB, Aufderheide TP, Geocadin RG, Callaway CW, Lazar RM, Donnino MW, et al. Primary outcomes for resuscitation science studies: a consensus statement from the American Heart Association. Circulation. 2011;124(19):2158-77. PMCID: 3719404. Bartels SA, Scott JA, Leaning J, Kelly JT, Mukwege D, Joyce NR, et al. Sexual violence trends between 2004 and 2008 in South Kivu, Democratic Republic of Congo. Prehospital and disaster medicine. 2011;26(6):408-13. Ban KM, Mannelli F, Mooney DP, Lazzeri S, Bussolin L, Barkin R, et al. Developing a pediatric trauma system in Tuscany, Italy: a case study in transformative change. The Journal of trauma. 2011;71(5):1442-6. Calder, Shelley. Emergency Nurses Association Expert Panel: Emergency Nurses Association. (2011). Competencies for clinical nurse specialists in emergency care. Des Plaines, IL. Wolfe R. Electronic charting in the ED: making it work for all. Attention to speed, safety, efficiency, and–above all–early involvement with the emergency department staff is crucial to real-world adoption of EMR’s. Healthcare informatics : the business magazine for information and communication systems. 2010;27(10):43-4. Weiner SG, Sanchez LD, Rosen P, Lanigra M, Bellesi R, Caneschi A, et al. A qualification course in an international emergency medicine intervention. The Journal of emergency medicine. 2010;39(2):234-9. Wang HE, Weaver MD, Shapiro NI, Yealy DM. Opportunities for Emergency Medical Services care of sepsis. Resuscitation. 2010;81(2):193-7. Volz KA, McGillicuddy DC, Horowitz GL, Wolfe RE, Joyce N, Sanchez LD. Eliminating amylase testing from the evaluation of pancreatitis in the emergency department. The western journal of emergency medicine. 2010;11(4):344-7. PMCID: 2967686. Vanden Hoek TL, Morrison LJ, Shuster M, Donnino M, Sinz E, Lavonas EJ, et al. Part 12: cardiac arrest in special situations: 2010 American Heart Association Guidelines for Cardiopulmonary Resuscitation and Emergency Cardiovascular Care. Circulation. 2010;122(18 Suppl 3):S829-61. Ullman E, Edlow JA. Complete heart block complicating the head impulse test. Archives of neurology. 2010;67(10):1272-4. Trzeciak S, Jones AE, Shapiro NI, Pusateri AE, Arnold RC, Rizzuto M, et al. A prospective multicenter cohort study of the association between global tissue hypoxia and coagulation abnormalities during early sepsis resuscitation. Critical care medicine. 2010;38(4):1092-100. Smith AK, Schonberg MA, Fisher J, Pallin DJ, Block SD, Forrow L, et al. Emergency department experiences of acutely symptomatic patients with terminal illness and their family caregivers. Journal of pain and symptom management. 2010;39(6):972-81. PMCID: 2884054. Shapiro NI, Trzeciak S, Hollander JE, Birkhahn R, Otero R, Osborn TM, et al. The diagnostic accuracy of plasma neutrophil gelatinase-associated lipocalin in the prediction of acute kidney injury in emergency department patients with suspected sepsis. Annals of emergency medicine. 2010;56(1):52-9 e1. Shapiro NI, Schuetz P, Yano K, Sorasaki M, Parikh SM, Jones AE, et al. The association of endothelial cell signaling, severity of illness, and organ dysfunction in sepsis. Critical care (London, England). 2010;14(5):R182. PMCID: 3219288. Shapiro NI, Khankin EV, Van Meurs M, Shih SC, Lu S, Yano M, et al. Leptin exacerbates sepsis-mediated morbidity and mortality. Journal of immunology (Baltimore, Md : 1950). 2010;185(1):517-24. Shapiro NI, Fisher C, Donnino M, Cataldo L, Tang A, Trzeciak S, et al. The feasibility and accuracy of point-of-care lactate measurement in emergency department patients with suspected infection. The Journal of emergency medicine. 2010;39(1):89-94. PMCID: 3205933. Seigel TA, McGillicuddy DC, Barkin AZ, Rosen CL. Morbidity and Mortality conference in Emergency Medicine. The Journal of emergency medicine. 2010;38(4):507-11. Pope JV, Jones AE, Gaieski DF, Arnold RC, Trzeciak S, Shapiro NI. Multicenter study of central venous oxygen saturation (ScvO(2)) as a predictor of mortality in patients with sepsis. Annals of emergency medicine. 2010;55(1):40-6 e1. PMCID: 2828585. Peris A, Tutino L, Zagli G, Batacchi S, Cianchi G, Spina R, et al. The use of point-of-care bedside lung ultrasound significantly reduces the number of radiographs and computed tomography scans in critically ill patients. Anesthesia and analgesia. 2010;111(3):687-92. Peberdy MA, Callaway CW, Neumar RW, Geocadin RG, Zimmerman JL, Donnino M, et al. Part 9: post-cardiac arrest care: 2010 American Heart Association Guidelines for Cardiopulmonary Resuscitation and Emergency Cardiovascular Care. Circulation. 2010;122(18 Suppl 3):S768-86. O’Connell F, Sanchez LD, Rosen P, Bramwell K, Davis D, Sakles J, et al. A 50-year-old woman presenting after a motor vehicle collision. Internal and emergency medicine. 2010;5(3):245-9. Miller JB, Walsh M, Patel PA, Rogan M, Arnold C, Maloney M, et al. Pediatric cannabinoid hyperemesis: two cases. Pediatric emergency care. 2010;26(12):919-20. McGillicuddy DC, de La Pena J, Goudie JS, Fisher J, Shapiro N, Sanchez LD. Adherence to dose of succinylcholine and etomidate in the emergency department. The western journal of emergency medicine. 2010;11(5):432-4. PMCID: 3027434. Lou M, Safdar A, Edlow JA, Caplan L, Kumar S, Schlaug G, et al. Can ABCD score predict the need for in-hospital intervention in patients with transient ischemic attacks? International journal of emergency medicine. 2010;3(2):75-80. PMCID: 2885258. Li SF, Grant K, Bhoj T, Lent G, Garrick JF, Greenwald P, et al. Resident experience of abuse and harassment in emergency medicine: ten years later. The Journal of emergency medicine. 2010;38(2):248-52. Leffler DA, Kheraj R, Garud S, Neeman N, Nathanson LA, Kelly CP, et al. The incidence and cost of unexpected hospital use after scheduled outpatient endoscopy. Archives of internal medicine. 2010;170(19):1752-7. Kuhn GJ, Shayne P, Coates WC, Fisher J, Lin M, Maggio LA, et al. Critical appraisal of emergency medicine educational research: the best publications of 2009. Academic emergency medicine : official journal of the Society for Academic Emergency Medicine. 2010;17 Suppl 2:S16-25. Kilgannon JH, Jones AE, Shapiro NI, Angelos MG, Milcarek B, Hunter K, et al. Association between arterial hyperoxia following resuscitation from cardiac arrest and in-hospital mortality. JAMA : the journal of the American Medical Association. 2010;303(21):2165-71. Kennedy M, Joyce N, Howell MD, Lawrence Mottley J, Shapiro NI. Identifying infected emergency department patients admitted to the hospital ward at risk of clinical deterioration and intensive care unit transfer. Academic emergency medicine: official journal of the Society for Academic Emergency Medicine. 2010;17(10):1080-5. PMCID: 3058807. Kelly SP, Weiner SG, Anderson PD, Irish J, Ciottone G, Pini R, et al. Learner perception of oral and written examinations in an international medical training program. International journal of emergency medicine. 2010;3(1):21-6. PMCID: 2850976. Kaji AH, Lewis RJ, Beavers-May T, Berg R, Bulger E, Cairns C, et al. Summary of NIH Medical-Surgical Emergency Research Roundtable held on April 30 to May 1, 2009. Annals of emergency medicine. 2010;56(5):522-37. Jones AE, Shapiro NI, Trzeciak S, Arnold RC, Claremont HA, Kline JA. Lactate clearance vs central venous oxygen saturation as goals of early sepsis therapy: a randomized clinical trial. JAMA: the journal of the American Medical Association. 2010;303(8):739-46. PMCID: 2918907. Goldstein JN, Espinola JA, Fisher J, Pallin DJ, Camargo CA. Public opinion of a stroke clinical trial using exception from informed consent. International journal of emergency medicine. 2010;3(4):385-9. PMCID: 3047845. Goldstein JN, Delaney KE, Pelletier AJ, Fisher J, Blanc PG, Halsey M, et al. A brief educational intervention may increase public acceptance of emergency research without consent. The Journal of emergency medicine. 2010;39(4):419-35. George M, Delgaudio A, Salhanick SD. Exertional rhabdomyolysis–when should we start worrying? Case reports and literature review. Pediatric emergency care. 2010;26(11):864-6. Freeman BB, Critchlow JF, Cohen S, Edlow JA. Spontaneous intraperitoneal hemorrhage as the initial presentation of a gastrointestinal stromal tumor: a case report. International journal of emergency medicine. 2010;3(1):53-6. PMCID: 2850982. Fischer C, Goldstein J, Edlow J. Cerebral venous sinus thrombosis in the emergency department: retrospective analysis of 17 cases and review of the literature. The Journal of emergency medicine. 2010;38(2):140-7. Felton D, Callaway D, Tibbles C, McGillicuddy D. A nineteen-year-old girl with palpitations. The Journal of emergency medicine. 2010;38(1):51-4. Epstein SK. Regionalization findings in the national report card of the state of emergency medicine. Academic emergency medicine: official journal of the Society for Academic Emergency Medicine. 2010;17(12):1349-50. Edlow JA. What are the unintended consequences of changing the diagnostic paradigm for subarachnoid hemorrhage after brain computed tomography to computed tomographic angiography in place of lumbar puncture? Academic emergency medicine: official journal of the Society for Academic Emergency Medicine. 2010;17(9):991-5; discussion 6-7. Edlow JA. Tick paralysis. Current treatment options in neurology. 2010;12(3):167-77. Easter JS, Josephson SA, Vinton DT, Saint S, Edlow JA. Clinical problem-solving. All in the family. The New England journal of medicine. 2010;362(22):2114-20. Donnino MW, Cocchi MN, Smithline H, Carney E, Chou PP, Salciccioli J. Coronary artery bypass graft surgery depletes plasma thiamine levels. Nutrition (Burbank, Los Angeles County, Calif). 2010;26(1):133-6. PMCID: 2874825. Donnino MW, Carney E, Cocchi MN, Barbash I, Chase M, Joyce N, et al. Thiamine deficiency in critically ill patients with sepsis. Journal of critical care. 2010;25(4):576-81. Condon S, Savoia E, Cadigan RO, Getchell M, Burstein JL, Auerbach B, et al. “Operation Helping Hands”: Massachusetts health and medical response to Hurricane Katrina. Prehospital and disaster medicine. 2010;25(1):80-6. Cocchi MN, Lucas JM, Salciccioli J, Carney E, Herman S, Zimetbaum P, et al. The role of cranial computed tomography in the immediate post-cardiac arrest period. Internal and emergency medicine. 2010;5(6):533-8. Burke L. Ending ambulance diversion in Massachusetts. The virtual mentor: VM. 2010;12(6):483-6. Birmingham C, Ban K, Rosen P, Wolfe R, Davis D, Sakles J, et al. An intoxicated man with facial trauma. Internal and emergency medicine. 2010;5(2):145-9. Bayram J, Rosborough S, Bartels S, Lis J, VanRooyen MJ, Kapur GB, et al. Core curricular elements for fellowship training in international emergency medicine. Academic emergency medicine: official journal of the Society for Academic Emergency Medicine. 2010;17(7):748-57. Bartels SA, Scott JA, Mukwege D, Lipton RI, Vanrooyen MJ, Leaning J. Patterns of sexual violence in Eastern Democratic Republic of Congo: reports from survivors presenting to Panzi Hospital in 2006. Conflict and health. 2010;4:9. PMCID: 2883538. Bartels SA, Greenough PG, Tamar M, VanRooyen MJ. Investigation of a cholera outbreak in Ethiopia’s Oromiya Region. Disaster medicine and public health preparedness. 2010;4(4):312-7. Yli-Hietanen J, Niiranen S, Aswell M, Nathanson L. Domain-specific analytical language modeling–the chief complaint as a case study. International journal of medical informatics. 2009;78(12):e27-30. Yim ES, Callaway DW, Fares S, Ciottone GR. Disaster diplomacy: current controversies and future prospects. Prehospital and disaster medicine. 2009;24(4):291-3. Warren HS, Elson CM, Hayden DL, Schoenfeld DA, Cobb JP, Maier RV, et al. A genomic score prognostic of outcome in trauma patients. Molecular medicine (Cambridge, Mass). 2009;15(7-8):220-7. PMCID: 2707513. Volz K, Rosen C, Wolfe R, Ban K, Sakles J, Bramwell K, et al. A 67-year-old man with anterior neck swelling. Internal and emergency medicine. 2009;4(4):333-8. Trzeciak S, Jones AE, Kilgannon JH, Milcarek B, Hunter K, Shapiro NI, et al. Significance of arterial hypotension after resuscitation from cardiac arrest. Critical care medicine. 2009;37(11):2895-903; quiz 904. Smulowitz PB, Ngo L, Epstein SK. The effect of a CT and MR preauthorization program on ED utilization. The American journal of emergency medicine. 2009;27(3):328-32. Smulowitz P, Landon BE, Burke L, Baugh C, Gunn H, Lipton R. Emergency department use by the uninsured after health care reform in Massachusetts. Internal and emergency medicine. 2009;4(6):501-6. Smith AK, Fisher J, Schonberg MA, Pallin DJ, Block SD, Forrow L, et al. Am I doing the right thing? Provider perspectives on improving palliative care in the emergency department. Annals of emergency medicine. 2009;54(1):86-93, e1. Singer AJ, Thode HC, Jr., Green GB, Birkhahn R, Shapiro NI, Cairns C, et al. The incremental benefit of a shortness-of-breath biomarker panel in emergency department patients with dyspnea. Academic emergency medicine : official journal of the Society for Academic Emergency Medicine. 2009;16(6):488-94. Shapiro NI, Yano K, Sorasaki M, Fischer C, Shih SC, Aird WC. Skin biopsies demonstrate site-specific endothelial activation in mouse models of sepsis. Journal of vascular research. 2009;46(5):495-502. Shapiro NI, Trzeciak S, Hollander JE, Birkhahn R, Otero R, Osborn TM, et al. A prospective, multicenter derivation of a biomarker panel to assess risk of organ dysfunction, shock, and death in emergency department patients with suspected sepsis. Critical care medicine. 2009;37(1):96-104. Shah KH, Metz HA, Edlow JA. Clinical prediction rules to stratify short-term risk of stroke among patients diagnosed in the emergency department with a transient ischemic attack. Annals of emergency medicine. 2009;53(5):662-73. Savitz SI, Levitan EB, Wears R, Edlow JA. Pooled analysis of patients with thunderclap headache evaluated by CT and LP: is angiography necessary in patients with negative evaluations? Journal of the neurological sciences. 2009;276(1-2):123-5. PMCID: 2626143. Sanchez LD, Pereira J, Berkoff DJ. The evaluation of cardiac complaints in marathon runners. The Journal of emergency medicine. 2009;36(4):369-76. Newman-Toker DE, Camargo CA, Jr., Hsieh YH, Pelletier AJ, Edlow JA. Disconnect between charted vestibular diagnoses and emergency department management decisions: a cross-sectional analysis from a nationally representative sample. Academic emergency medicine: official journal of the Society for Academic Emergency Medicine. 2009;16(10):970-7. Nencioni A, Trzeciak S, Shapiro NI. The microcirculation as a diagnostic and therapeutic target in sepsis. Internal and emergency medicine. 2009;4(5):413-8. McGillicuddy DC, Tang A, Cataldo L, Gusev J, Shapiro NI. Evaluation of end-tidal carbon dioxide role in predicting elevated SOFA scores and lactic acidosis. Internal and emergency medicine. 2009;4(1):41-4. McGillicuddy DC, Babineau MR, Fisher J, Ban K, Sanchez LD. Is a postintubation chest radiograph necessary in the emergency department? International journal of emergency medicine. 2009;2(4):247-9. PMCID: 2840601. Kimlin EJ, Easter JS, Ganetsky M. A 46-year-old woman with altered mental status and garbled speech. The Journal of emergency medicine. 2009;37(1):69-74. Hoot NR, Epstein SK, Allen TL, Jones SS, Baumlin KM, Chawla N, et al. Forecasting emergency department crowding: an external, multicenter evaluation. Annals of emergency medicine. 2009;54(4):514-22 e19. PMCID: 2800127. Gangavati AS, Kiely DK, Kulchycki LK, Wolfe RE, Mottley JL, Kelly SP, et al. Prevalence and characteristics of traumatic intracranial hemorrhage in elderly fallers presenting to the emergency department without focal findings. Journal of the American Geriatrics Society. 2009;57(8):1470-4. Fisher J, Sokolove PE, Kelly SP. Overcrowding: harming the patients of tomorrow? Academic emergency medicine: official journal of the Society for Academic Emergency Medicine. 2009;16(1):56-60. Farrell SE, Coates WC, Khun GJ, Fisher J, Shayne P, Lin M. Highlights in emergency medicine medical education research: 2008. Academic emergency medicine: official journal of the Society for Academic Emergency Medicine. 2009;16(12):1318-24. Epstein SK, Burstein JL, Case RB, Gardner AF, Herman SH, Hirshon JM, et al. The National Report Card on the State of Emergency Medicine: evaluating the emergency care environment state by state 2009 edition. Annals of emergency medicine. 2009;53(1):4-148. Edlow JA, Panagos PD, Godwin SA, Thomas TL, Decker WW. Clinical policy: Critical issues in the evaluation and management of adult patients presenting to the emergency department with acute headache. Journal of emergency nursing: JEN : official publication of the Emergency Department Nurses Association. 2009;35(3):e43-71. Donnino MW, Cocchi MN, Howell M, Clardy P, Talmor D, Cataldo L, et al. Statin therapy is associated with decreased mortality in patients with infection. Academic emergency medicine: official journal of the Society for Academic Emergency Medicine. 2009;16(3):230-4. Caterino JM, Kulchycki LK, Fischer CM, Wolfe RE, Shapiro NI. Risk factors for death in elderly emergency department patients with suspected infection. Journal of the American Geriatrics Society. 2009;57(7):1184-90. Callaway DW, Shapiro NI, Donnino MW, Baker C, Rosen CL. Serum lactate and base deficit as predictors of mortality in normotensive elderly blunt trauma patients. The Journal of trauma. 2009;66(4):1040-4. Burstein JL. Mostly dead: can science help with disaster triage? Annals of emergency medicine. 2009;54(3):431. Birmingham C, Tibbles C, Friedberg R. An unusual cause of spontaneous paralysis. The Journal of emergency medicine. 2009;36(3):290-5. Betz ME, Fisher J. The Trail-making Test B and driver screening in the emergency department. Traffic injury prevention. 2009;10(5):415-20. Bernstein SL, Aronsky D, Duseja R, Epstein S, Handel D, Hwang U, et al. The effect of emergency department crowding on clinically oriented outcomes. Academic emergency medicine: official journal of the Society for Academic Emergency Medicine. 2009;16(1):1-10. Berkman M, Ufberg J, Nathanson LA, Shapiro NI. Anion gap as a screening tool for elevated lactate in patients with an increased risk of developing sepsis in the Emergency Department. The Journal of emergency medicine. 2009;36(4):391-4. Batacchi S, Matano S, Nella A, Zagli G, Bonizzoli M, Pasquini A, et al. Vacuum-assisted closure device enhances recovery of critically ill patients following emergency surgical procedures. Critical care (London, England). 2009;13(6):R194. PMCID: 2811940. Arnold RC, Shapiro NI, Jones AE, Schorr C, Pope J, Casner E, et al. Multicenter study of early lactate clearance as a determinant of survival in patients with presumed sepsis. Shock (Augusta, Ga). 2009;32(1):35-9. Arnold RC, Parrillo JE, Phillip Dellinger R, Chansky ME, Shapiro NI, Lundy DJ, et al. Point-of-care assessment of microvascular blood flow in critically ill patients. Intensive care medicine. 2009;35(10):1761-6. Calder, SA. Clinical pearls and pitfalls in electrocardiogram interpretation in acute myocardial infarction. Journal of Emergency Nursing. 34 (4) ,324-329. 2008. Woodruff MM, Edlow JA. Evaluation of third nerve palsy in the emergency department. The Journal of emergency medicine. 2008;35(3):239-46. Wong J, Traub SJ, Macnow L, Kulchycki LK. Altered mental status. The Journal of emergency medicine. 2008;35(4):445-8. Wira CR, Becker JU, Martin G, Donnino MW. Anti-arrhythmic and vasopressor medications for the treatment of ventricular fibrillation in severe hypothermia: a systematic review of the literature. Resuscitation. 2008;78(1):21-9. White KS, Raffa SD, Jakle KR, Stoddard JA, Barlow DH, Brown TA, et al. Morbidity of DSM-IV Axis I disorders in patients with noncardiac chest pain: Psychiatric morbidity linked with increased pain and health care utilization. Journal of consulting and clinical psychology. 2008;76(3):422-30. Weiner SG, Kelly SP, Rosen P, Ban KM. The Eight Cs: a guide to success in an international emergency medicine educational collaboration. Academic emergency medicine: official journal of the Society for Academic Emergency Medicine. 2008;15(7):678-82. Weiner SG, Anderson PD, Sanchez LD, Pini R, Berni G, Gensini GF, et al. Evaluation of an international emergency medicine intervention in Tuscany. European journal of emergency medicine: official journal of the European Society for Emergency Medicine. 2008;15(2):75-9. Wald DA, Manthey DE, Lin M, Ander DS, Fisher J. Clerkship directors in emergency medicine: statement of purpose. Academic emergency medicine: official journal of the Society for Academic Emergency Medicine. 2008;15(9):856-9. Trzeciak S, McCoy JV, Phillip Dellinger R, Arnold RC, Rizzuto M, Abate NL, et al. Early increases in microcirculatory perfusion during protocol-directed resuscitation are associated with reduced multi-organ failure at 24 h in patients with sepsis. Intensive care medicine. 2008;34(12):2210-7. PMCID: 2821162. Trzeciak S, Cinel I, Phillip Dellinger R, Shapiro NI, Arnold RC, Parrillo JE, et al. Resuscitating the microcirculation in sepsis: the central role of nitric oxide, emerging concepts for novel therapies, and challenges for clinical trials. Academic emergency medicine: official journal of the Society for Academic Emergency Medicine. 2008;15(5):399-413. PMCID: 2727641. Shapiro NI, Yano K, Okada H, Fischer C, Howell M, Spokes KC, et al. A prospective, observational study of soluble FLT-1 and vascular endothelial growth factor in sepsis. Shock (Augusta, Ga). 2008;29(4):452-7. Shapiro NI, Wolfe RE, Wright SB, Moore R, Bates DW. Who needs a blood culture? A prospectively derived and validated prediction rule. The Journal of emergency medicine. 2008;35(3):255-64. Shah KH, Kleckner K, Edlow JA. Short-term prognosis of stroke among patients diagnosed in the emergency department with a transient ischemic attack. Annals of emergency medicine. 2008;51(3):316-23. Savitz SI, Edlow J. Thunderclap headache with normal CT and lumbar puncture: further investigations are unnecessary: for. Stroke; a journal of cerebral circulation. 2008;39(4):1392-3. Sanchez LD, Goudie JS, De la Pena J, Ban K, Fisher J. Mortality after emergency department intubation. International journal of emergency medicine. 2008;1(2):131-3. PMCID: 2657245. Sanchez LD, Di Martino P, Babineau M, Lanigra M, Ban KM. Intubation practice patterns in Tuscan emergency departments. International journal of emergency medicine. 2008;1(2):127-9. PMCID: 2657242. Sanchez LD, Ban KM, Bramwell K, Davis D, Rosen P. Acute shortness of breath 10 years post laryngectomy. Internal and emergency medicine. 2008;3(2):145-9. Sanchez LD, Ban KM, Bramwell K, Davis D, Rosen P. A 59-year-old man with acute drug overdose. Internal and emergency medicine. 2008;3(4):361-4. Salhanick SD, Wax PM, Schneider SM. In response to Tong TC, et al. Comparative treatment of alpha-amanitin poisoning with N-acetylcysteine, benzylpenicillin, cimetidine, thioctic acid, and silybin in a murine model. Annals of emergency medicine. 2008;52(2):184-5; author reply 5. Rosen P, Edlich RF, Rosen CL, Wolfe RE. Becoming a specialist in emergency medicine. The Journal of emergency medicine. 2008;34(4):471-6. Pope JV, Edlow JA. Favorable response to analgesics does not predict a benign etiology of headache. Headache. 2008;48(6):944-50. Niiranen ST, Yli-Hietanen JM, Nathanson LA. Toward reflective management of emergency department chief complaint information. IEEE transactions on information technology in biomedicine: a publication of the IEEE Engineering in Medicine and Biology Society. 2008;12(6):763-7. Newman-Toker DE, Hsieh YH, Camargo CA, Jr., Pelletier AJ, Butchy GT, Edlow JA. Spectrum of dizziness visits to US emergency departments: cross-sectional analysis from a nationally representative sample. Mayo Clinic proceedings. 2008;83(7):765-75. PMCID: 3536475. Miller JB, Donnino MW, Rogan M, Goyal N. Relative adrenal insufficiency in post-cardiac arrest shock is under-recognized. Resuscitation. 2008;76(2):221-5. Metz H, Tibbles C. Neutropenic patient with fever and abdominal pain. Internal and emergency medicine. 2008;3(1):49-52. Kruschinski C, Hummers-Pradier E, Newman-Toker D, Camargo CA, Jr., Edlow JA. Diagnosing dizziness in the emergency and primary care settings. Mayo Clinic proceedings. 2008;83(11):1297-8; author reply 8-9. Kent K, Ganetsky M, Cohen J, Bird S. Non-fatal ventricular dysrhythmias associated with severe salicylate toxicity. Clinical toxicology (Philadelphia, Pa). 2008;46(4):297-9. Kang TL, Sanchez LD, Barkin AZ. A 24-year-old woman with abdominal pain. The Journal of emergency medicine. 2008;34(2):199-201. Jones AE, Shapiro NI, Kilgannon JH, Trzeciak S. Goal-directed hemodynamic optimization in the post-cardiac arrest syndrome: a systematic review. Resuscitation. 2008;77(1):26-9. Jones AE, Brown MD, Trzeciak S, Shapiro NI, Garrett JS, Heffner AC, et al. The effect of a quantitative resuscitation strategy on mortality in patients with sepsis: a meta-analysis. Critical care medicine. 2008;36(10):2734-9. PMCID: 2737059. Huff JS, Edlow JA, Silvers S. From the inside looking out: a view from the fishbowl. Neurocritical care. 2008;9(2):265-8. Hoit DA, Schirmer CM, Weller SJ, Lisbon A, Edlow JA, Malek AM. Angiographic detection of carotid and vertebral arterial injury in the high-energy blunt trauma patient. Journal of spinal disorders & techniques. 2008;21(4):259-66. Edlow JA, Rothman RE, Barsan WG. What do we really know about neurological misdiagnosis in the emergency department? Mayo Clinic proceedings. 2008;83(2):253-4; author reply 5. Edlow JA, Panagos PD, Godwin SA, Thomas TL, Decker WW. Clinical policy: critical issues in the evaluation and management of adult patients presenting to the emergency department with acute headache. Annals of emergency medicine. 2008;52(4):407-36. Edlow JA, Newman-Toker DE, Savitz SI. Diagnosis and initial management of cerebellar infarction. Lancet neurology. 2008;7(10):951-64. Edlow JA, McGillicuddy DC. Tick paralysis. Infectious disease clinics of North America. 2008;22(3):397-413, vii. Edlow JA, Malek AM, Ogilvy CS. Aneurysmal subarachnoid hemorrhage: update for emergency physicians. The Journal of emergency medicine. 2008;34(3):237-51. Edlow JA. Tick-borne diseases, part I: Lyme disease. Preface. Infectious disease clinics of North America. 2008;22(2):xi-xiv. Edlow JA. Preface: tick-borne diseases, part II. Infectious disease clinics of North America. 2008;22(3):xiii-xv. Easter JS, Grossman SA, Woodruff MM, Rosen CL. When the rules do not work: head injury without loss of consciousness. The Journal of emergency medicine. 2008;35(1):77-80. Burstein JL. Smoke and shadows: measuring hospital disaster preparedness. Annals of emergency medicine. 2008;52(3):230-1. Biddinger PD, Cadigan RO, Auerbach BS, Burstein JL, Savoia E, Stoto MA, et al. On linkages: using exercises to identify systems-level preparedness challenges. Public health reports (Washington, DC : 1974). 2008;123(1):96-101. PMCID: 2099334. Betz ME, Kelly SP, Fisher J. Death certificate inaccuracy and underreporting of injury in elderly people. Journal of the American Geriatrics Society. 2008;56(12):2267-72. Babineau MR, Sanchez LD. Ophthalmologic procedures in the emergency department. Emergency medicine clinics of North America. 2008;26(1):17-34, v-vi..